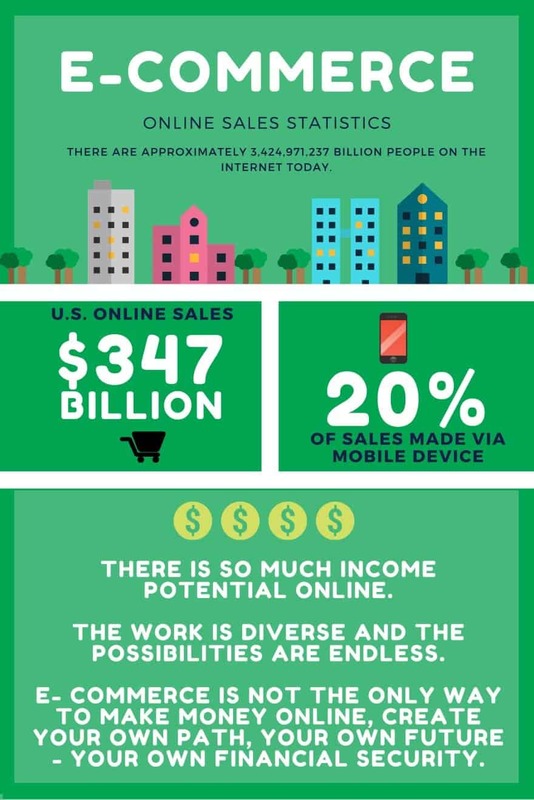 Thirty years ago, the thought of making money completely online was a farfetched idea. Besides the lagging speed of dial up, there were many technological restrictions and countless obstacles. The speed and connection made the internet unreliable. People were not able to rely on the type of instant social environments that have since developed, such as Snapchat or Instagram. 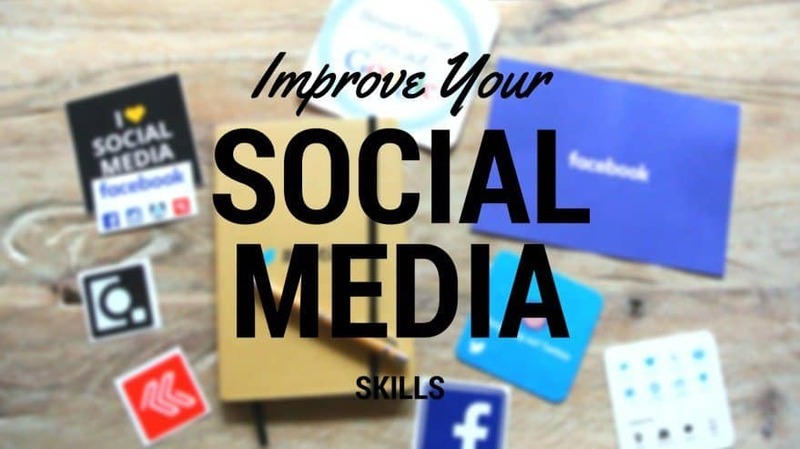 Most social media platforms can certainly be viewed as frivolous and superficial communication tools, they have ultimately, fundamentally transformed communication for mankind. The entire world now has the ability to be connected with one another – instantaneously. 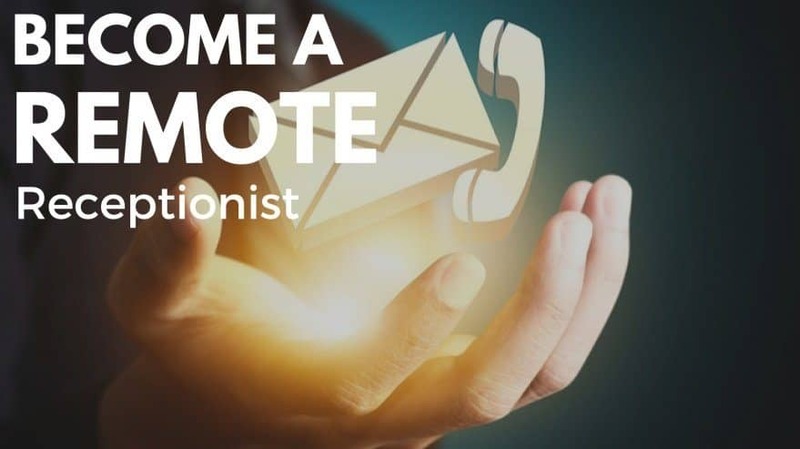 Thanks to technological developments, it is now possible to create a simple advertisement, post it online, and it has the potential to influence thousands of people at once. Whether listing an item to sell or posting a job offer, as long as the information lands in front of the right online groups, the online response can be tremendous. With speed and relevance comes an assumption of quality, so in order to navigate an online income is to, conversely, exercise patience and exhibit diversity. No matter who you are, where you are from, or what you have done before, you can make money online without paying anything. 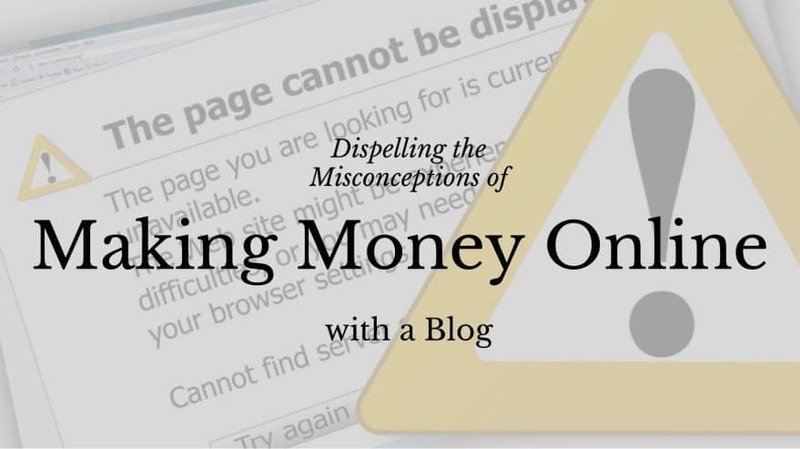 Dispelling the Misconceptions of Making Money Online with a Blog. Ultimately, the internet is a fast moving world. The irony is that, the quicker its opportunities ebb and flow, the more time needs to be put into working out how to capture them. 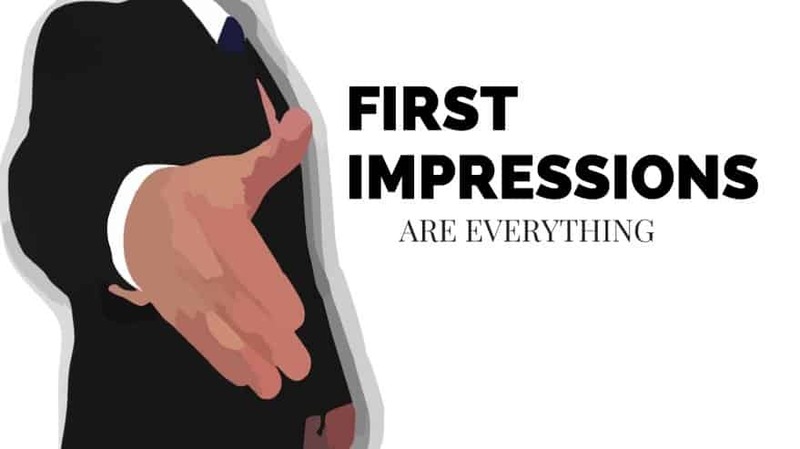 Before you begin to make money online, it is important to know how you are presenting yourself compared to how you should present yourself. For anybody interested in earning a salary or carving out a career online, privacy should be a top priority. In fact, from the moment that ‘commercial’ content of any kind is posted (be it advertisements, online job applications, or an amateur marketplace), there should be a separation between the personal and the private. 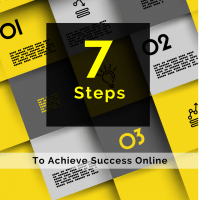 To make money online, a person needs to convince others that they have a reasonable degree of authority; that they know what they are doing and can be trusted with the task at hand. This can be very difficult if the first thing that a potential customer, client, or employer sees when they google the person’s name is a Facebook album of wild antics in Barcelona, for example. It is, of course, assumed that everybody has a rich and interesting private life – from the smallest of eBay sellers to the biggest multi-million dollar streamers – but the ability to move skillfully between the two is important. 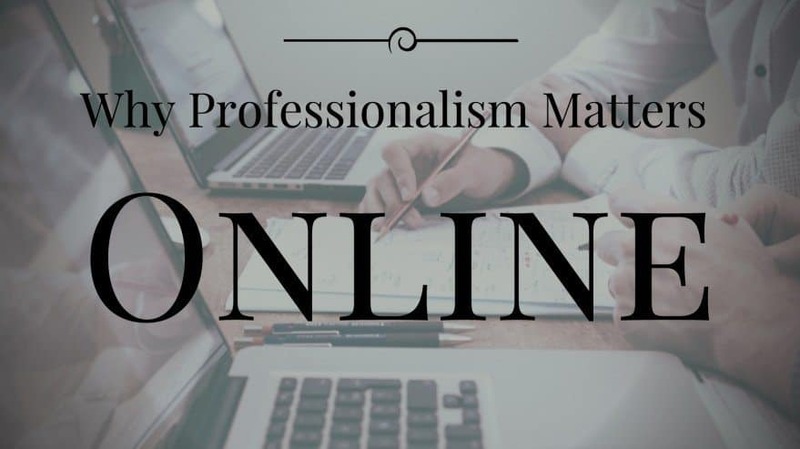 If you want to earn cash online, professionalism is everything. So, raise the privacy settings on your personal profiles, starting with Facebook. This is an easy thing to do, so there’s no excuse for forgetting or disregarding the need. With a change to just one or two minor settings on Twitter, Facebook, Pinterest, and more, it is possible to make photo albums and statuses private. It has no impact on how friends and online connections interact with the page, but it does prevent blog followers and prospective clients from pouring through personal content. This kind of professionalism is particularly important for commercial bloggers, because the personal and private are not always one. For instance, one of the most effective ways to make money through blogging is to allow brands to place advertisements around the content. As long as they are not intrusively large or disruptive, the majority of readers will not be perturbed by their presence and some may even click through to the company website. With this arrangement, the blog host is usually paid a small sum every time that a click through occurs. However, it would discourage readers if a blog were to say one thing (praise or promote a product) and a social media profile were to say another (criticize or mock the same product). It can seem like a superficial distinction, but the reality is that nothing is personal on the internet unless it is marked as such. It is important to realize that there is no telling how clients, customers, or affiliates will interpret content that was not intended for them. So, exercise control and the right to decide how personal content is used, viewed, and perceived. On the other hand, not having any kind of internet presence can be just as tricky. 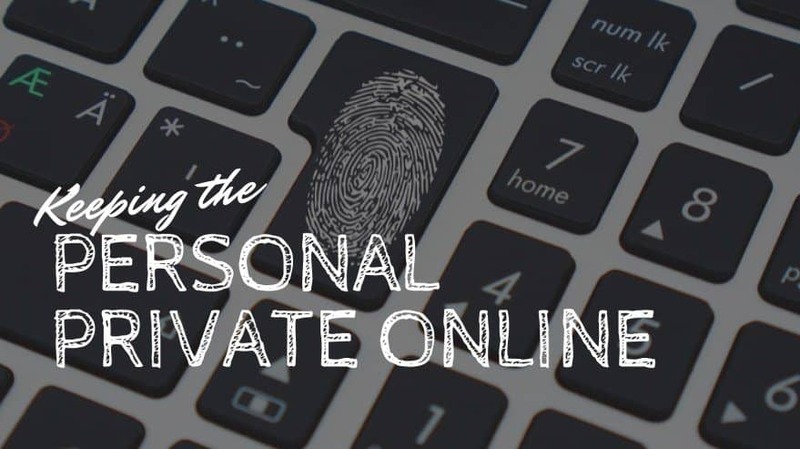 While things like embarrassing photos and controversial statuses should be kept under wraps, the biggest online earners all have a professional, verifiable online profile. This is usually in the form of a personal website, because they are simple to set up. Plus, if basic CMS tools are used, they don’t even have to cost anything to create and manage. This online page or profile should, first and foremost, tell visitors what skills and services are available. Similarly, the difference between making a little cash here and there and actually creating a viable, sustainable online business model is tenacity. And, for most, personal drive comes hand in hand with positive mental attitude. In other words, feeling like a professional makes it easier to behave and operate like one. This is a particularly vital truth for freelancers and internet moneymakers, because they don’t have that rigid and traditional work environment. If an individual works from home, the only rules are the ones they set for themselves. Often, the benefits of at home freelancing extend to things like never having to get dressed or being able to work from bed. The novelty is perfectly understandable; who wouldn’t want to swap a stressful early morning commute for a three minute stroll to the kitchen for coffee and biscuits? Yet, the secret to success, both on and off the internet, starts with the right approach. While wearing a suit and tie to write blog content or fire off job applications is a little over top, getting dressed each morning and migrating to a dedicated work space is recommended. Time and time again, studies have shown that productivity increases when people separate personal and private spheres of activity. To put it simply, people always work harder and faster when they are in an environment that has been designed for the purpose. So, working from the sofa, in front of the TV, is going to lead to less productivity than working from a desk or a properly designated work space. This area should contain everything that is needed to complete a ‘shift’ at the online ‘office,’ just as would happen in a real office. It is time to return to that tricky contradiction between speed and patience. Yes, the internet is a place that moves incredibly fast. Nothing stays the same for long. In order to keep up and compete with rivals, online businesses (whether they are run by one individual or many) must find a way to match this speed and grab the attention of clients, customers, buyers, and prospective employers while maintaining it. It is not an easy thing to do, but ironically, half the job is learning how and when to be patient. One of the most common mistakes that people make when filling out online job applications, setting up websites, and trying to make cash from blogs and other content is to rush. They produce content that is riddled with errors or they fail to put any real thought into what is being said. Unfortunately, with so many competitors, all swapping and trading services at a rapid rate, there is no room for error. The key to being noticed is quality; everything that is uploaded or offered to clients must be of an exceptionally high standard. Once again, this is easier than it sounds. It just takes a little patience. When crafting online resumes, portfolios, or emails to important people, double check everything. Typos and bad grammar are a fast track to rejection. More than anything else, they suggest a lack of care, because there is a wealth of tools and resources out there that can help people with poor grammar and spelling skills. The same applies to things like getting company names right. 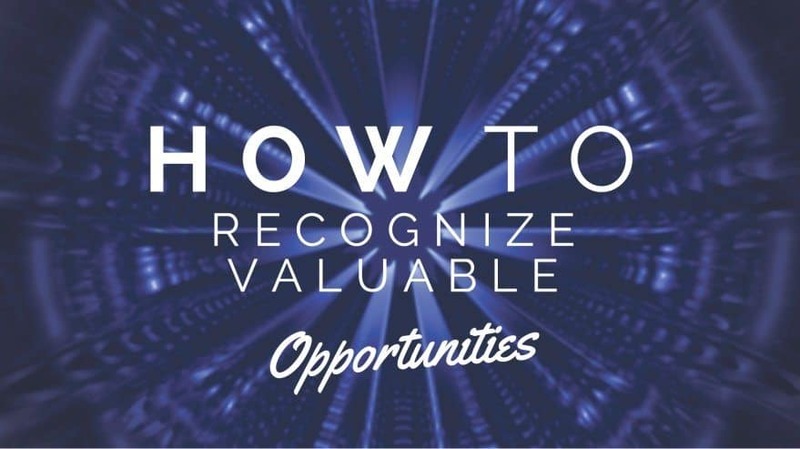 It takes mere seconds to double check and it shows clients that they are more than just another name on a list of moneymaking opportunities. The relationship between the personal and the private runs through just about every aspect of carving out a career or business online. It is important to remember that, even though the workspace may be figurative (especially for at home freelancers), the expectations are not. There are certain things that would be inappropriate to share or talk about in an office and the same applies to the online work environment. Keep communications with clients, customers, employers, and buyers strictly professional. It is okay to be on friendly terms and to interact informally (a good business relationship is warm and easy), but steer clear of giving too many personal details about family matters or private affairs. Try to keep one eye on the nature of the relationship and its primary purpose. If the intention is to make money, be friendly, but don’t be afraid to be too shrewd either. To overcompensate and give up too much, too soon – be it writing samples, trial work, or discounted products and services – is to suggest that there’s no real awareness of worth. The best content and services are those that are in high demand. 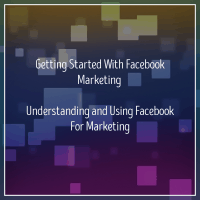 Now, everybody has to start somewhere, so the very outset of an online career is usually slow. However, there is no need to point this out to others. In other words, one of the oldest tricks in the book, for new companies, is to establish an online presence that completely avoids the question of age and experience. It is not acceptable to lie and claim experience, but it is perfectly okay not to draw attention to a distinct lack of it. The great thing about the internet is that there is an almost endless variety of ways to make cash. From blogging to online marketplaces, commercial copywriting to graphic design, there are a thousand different skills that all come with their own unique benefits and rewards. The best place to start then is with an important decision. Which skill or service offers the best chance to make money online? The best choice is to start with a targeted medium or service. Later on, there will be opportunities for diversification and expansion, but the outset of an online business or career has to be focused. Otherwise, it just becomes too easy to get lost in the drama and noise of the internet. Clients and employers need to be able to cut right through this noise and immediately determine what is being offered. If they can’t, they may just move on to the next individual or business that is clamoring for their attention. So, pick a product or a service that is valuable and sellable. It may be writing beauty blogs. It could be crafting and sharing online game reviews. It might be upcycling second hand furniture and selling it on a personal website. Whatever the money making opportunity, it should be something that can inspire enthusiasm and passion. The more enjoyable that it is to work with, the easier it will be to put the time and dedication into building it up and nurturing a sturdy, sustainable online presence. For those who have no experience with making money on the internet, it can sometimes be useful to start small. 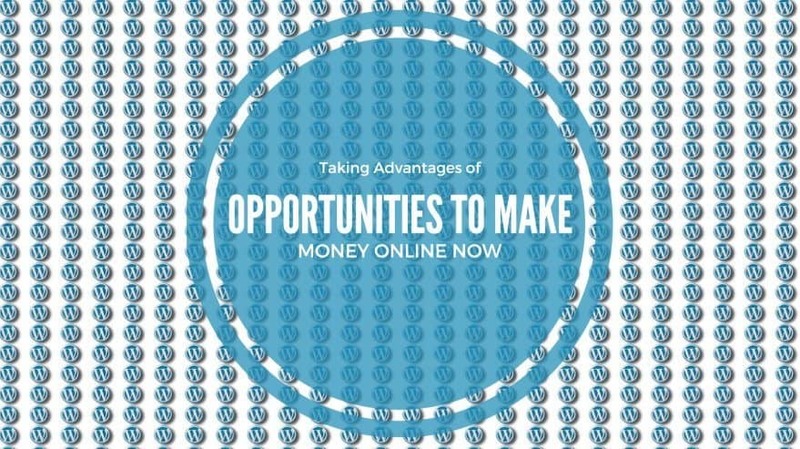 There are lots of websites that provide straightforward opportunities to make cash. They are useful resources, particularly for the inexperienced, because most of the administrative responsibility is taken care of. For instance, on managed and automated copywriting platforms, writers only have to upload the content. It is then checked and handled by the company that owns the website. In many cases, the fees are similarly automated, so writers never have to worry about late payment or submitting weekly invoices. Currently, one of the most popular ways to make money online is through websites that pay for time. This is a very straightforward concept, so it is a good place to start for those who have no previous experience of earning a salary on the internet. Generally, this kind of work does not require any specialist skills either. It can be completed by almost anybody, as long as they can read, write, and understand the instructions. 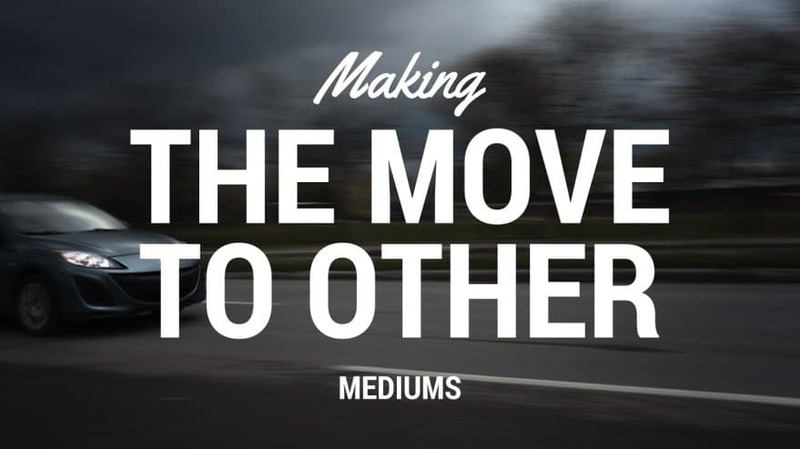 For such basic work, the medium has the potential to offer a surprising amount of cash. However, the key quality here is patience and persistence. As there is little skill involved, the work tends to be repetitive and mundane. Good examples include filling out surveys, downloading trial apps, testing games, watching video content, leaving reviews, and rating images. As the commodity being purchased is time, the longer that is spent on these websites, the faster the ‘banked balance’ rises. So, while the work is easy, a certain degree of dedication and endurance is needed. The good news is that there are thousands of these platforms out there on the internet. They come in all shapes and sizes and, with a little bit of research, it is possible to find one that is relatively enjoyable and utterly stress free. Do be aware of the fact that payment rates may be small. Once again, the emphasis is on quantity, rather than quality. It often takes a large amount of individual tasks or jobs to produce a moderate salary. Nevertheless, it is a good place to start. The advantage of this method is that it does not have to involve a singular focus. Unlike blogging or online selling, there is no need to craft commercially viable content. Ultimately, any kind of contribution is valuable, because (particularly in terms of market research), all opinions and feedback can be utilized in some way. Therefore, it is viable and acceptable to combine work on different ‘pay for time’ platforms, if working with multiple websites offers a good opportunity to earn cash. This is one of the most popular ways for students to make money online, because it is quick, easy, and requires no fixed schedule. The work can be carried out whenever is most suitable. The majority of surveys take just minutes to fill out, so hundreds can be completed in a matter of hours. Though the fee is small, it quickly rises as the number of completed surveys increases. 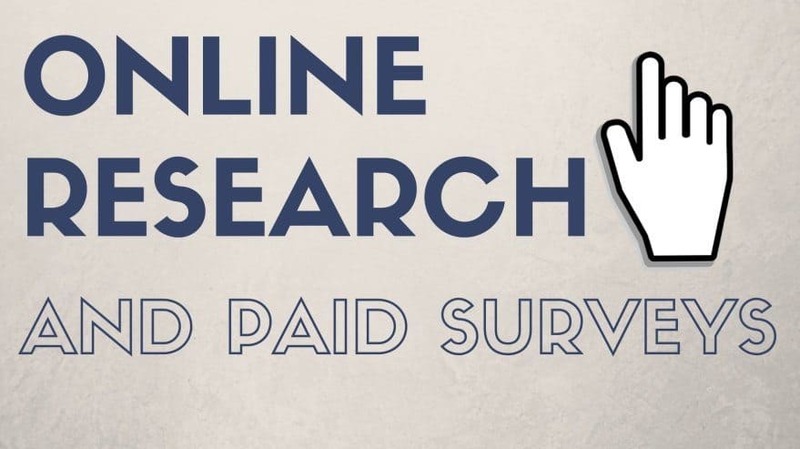 Plus, the major benefit of online research is that it is always available. Every business on the planet has to know exactly what customers want, in order to provide it. They do this by, simply, asking them directly. One of the newest and most intriguing ways to turn time on the internet into cold, hard cash is to find a platform that pays members for doing nothing more than surfing and searching. 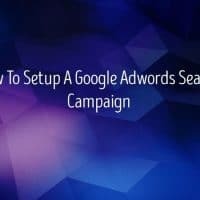 For instance, https://www.qmee.com/ is a website that gives out small rewards for Google, Bing, and Yahoo searches. The only contribution needed is a click through to one of the sponsored Qmee results, rather than the standard listings. The company is keen to point out that Qmee is primarily designed to be an ‘add on’ tool; a non-invasive browser extension that just happens to earn users cash. So, the emphasis is not on constantly clicking sponsored results for profit. 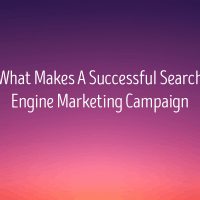 Instead, the idea is that Qmee enhances the search experience, by suggesting valuable links and results, which also carry a reward. 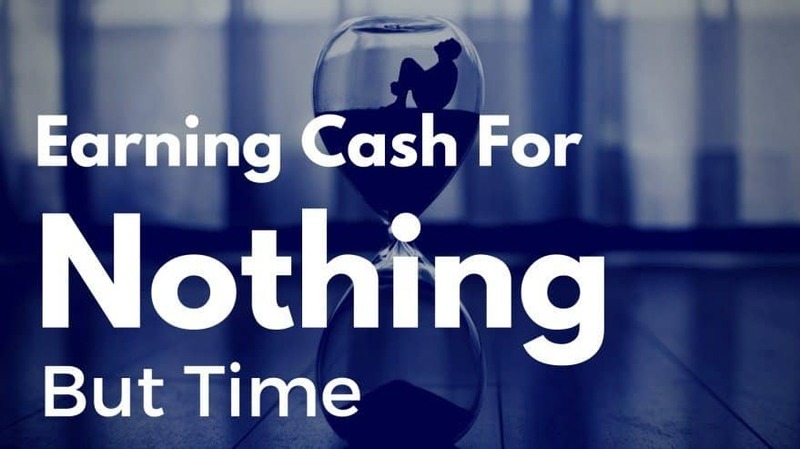 For this reason, it is one of the simplest and most organic ways to turn time into money, but it should really be used as a supplemental source of income. In the same way that businesses rely on customer feedback for confirmation that they are moving in the right direction, website creators need external input on their designs. In fact, websites are especially dependent on user generated feedback, because they are mostly tactile. In other words, there is no guaranteed way to know if they are a success until a person directly engages with them. This is why there are scores of platforms that offer cash in exchange for website, app, and software reviews. The rules are simple. Once registration is complete, users are given the opportunity to pick the tasks that most interest them. The level of variety will depend entirely on the nature of the platform and the type of content that is being reviewed. While some offer a broad selection of jobs, across a wide variety of mediums, others have a narrower pool. Each task carries its own fee and this is paid after the feedback form, survey, or review has been submitted and approved. You can also get products by giving out product reviews on your blog or social networks. 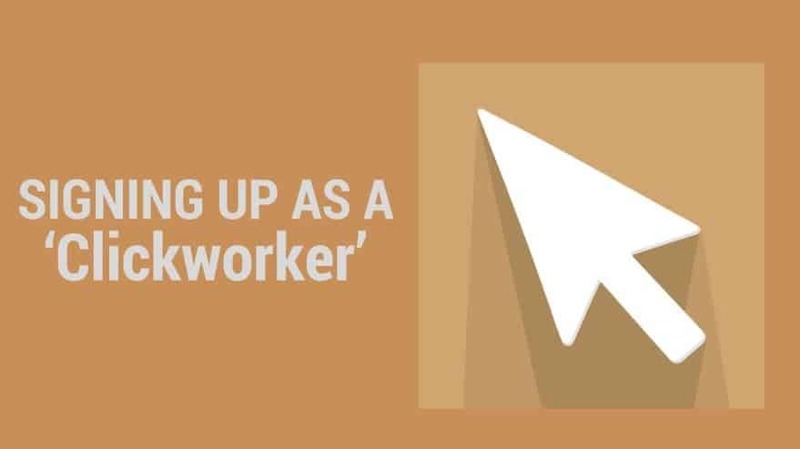 The term ‘clickwork’ refers to tasks that require little skill but need completing quickly. They are usually posted by companies that don’t want to assign their own resources to do the job. So, they sign up with a clickwork affiliate, like Amazon Mechanical Turk (mTurk) or Clickworker.com. This third party uses the internet to search for people who can carry out the tasks for a small fee. Just like filling out surveys and testing websites, the pay is low, but the quantity is constant. With enough time and patience, it is possible to earn a moderate salary from clickwork platforms, though the money is not always enough to be sustainable on its own. Also, the tasks generally involve mundane work like data entry and form filling. 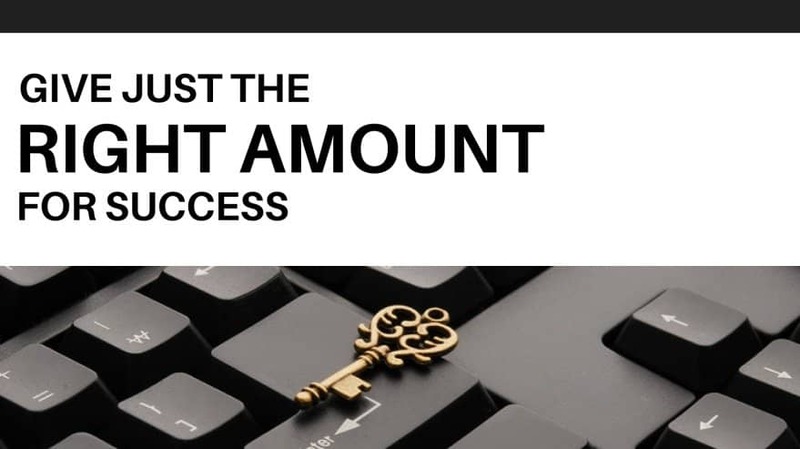 This is not the right place to look for exciting or enthralling opportunities, but it is an effective way to make quick cash online when you need it most. The majority of clickwork platforms provide payment through Paypal, so it is fast and reliable. It is also perfectly possible to get paid for doing something as pleasant as listening to music. In fact, for many people, this is an endlessly appealing option, particularly when compared with data entry work. 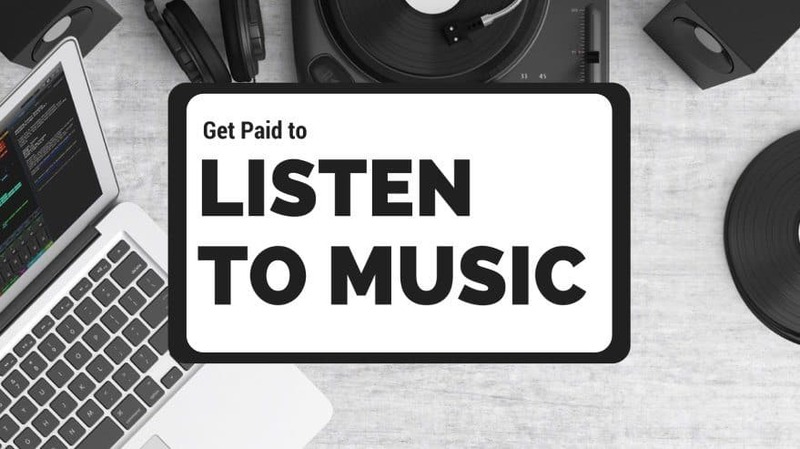 Sites like http://www.musicxray.com/ make it easy to get paid while supporting bands. The downside to this is that, while there are lots of music review platforms, the more valuable tasks can be harder to grab. Sometimes, they are encased within a hierarchical structure. The more experienced users get the chance to accept them first. It can be a little frustrating to have to start right at the bottom, but the benefit is that this option offers the opportunity for progression. As the number of completed music review increases, so too does the size of the fee. The thing to remember is that earning a decent sum of money on music review platforms requires an open mind. If an honest opinion is sought, by all means, tell the truth. However, don’t expect to make much cash by sticking rigidly to one or two genres. Contrary to popular belief, it is completely legal to trade and sell academic study notes online. There are actually a number of reputable platforms that give high performing students the chance to do this. The ethics can get a little blurry if further, external communications are sought, but managed websites prevent this from happening. The party with notes to sell uploads them to the platform, where they are checked and approved by an administrator. On some platforms, the fee is set by the company. On others, it is determined by the seller. Clearly, the latter option is the most desirable, because it gives sellers more control over the value of their product. Reliable examples include websites like http://www.notesale.co.uk/ it charges no fees for listing advertisements, but it takes a small cut of the profit in exchange for promotion. In other words, it makes sure that the content uploaded by sellers makes it to the right people. The advantage of this moneymaking option is obvious. 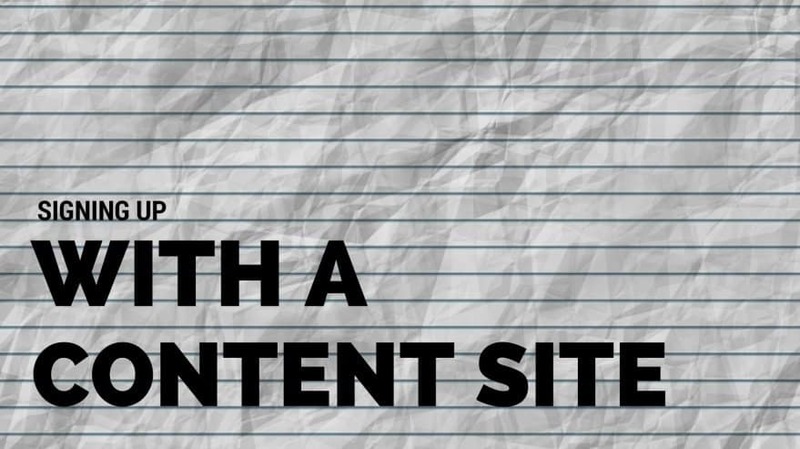 For students, it involves no extra effort, other than the time needed to upload to the site. 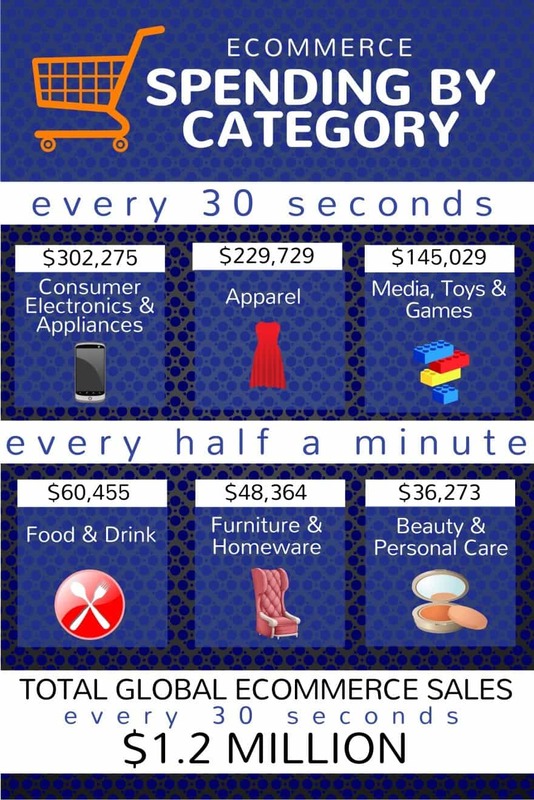 It can come as quite as a surprise to learn just how much cash can be made from entering online competitions and giveaways. There are people in the US and the UK who make as much as $30,000, per year, from this kind of work alone. While this is quite unusual and requires an extreme amount of dedication, there are big wins to be had with the right amount of patience and a knack for careful selection. The types of giveaways that are available include everything from basic registration forms to multiple choice questions, answering questions over the phone, and liking Facebook pages. 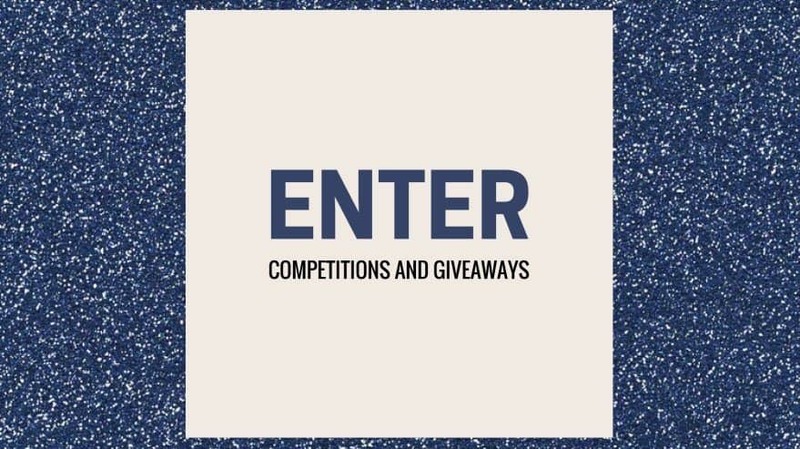 The most abundant of these is the first option in the list; there are literally thousands of competitions that require nothing but personal details. The disadvantage of working with these websites is the fact that most use the data to send spam. However, to avoid this, all that is needed is an alternative email address. Just use this solely for competition entries. Use http://www.online-sweepstakes.com/ for a continually updated list of sweepstakes. The world of stock markets and currencies can be an intimidating one for most, but with the right support, there are plenty of opportunities to make a quick profit. The key is choosing the right online market trading platform; one that is easy to understand and provides lots of resources for those who are new to the process. For example, websites like eToro and Plus500 are popular, because they make the business of trading stocks simple and effective. The two aforementioned platforms both provide free practice accounts. This is a really useful resource for those who are new to trading. The thing to remember about this option is that it involves a degree of risk. The specific degree will depend entirely on how much money is placed at stake and how big the potential reward is. Ultimately, the user is responsible for their own actions and must acknowledge the role of this risk. Certainly to start out with, it is better to work with modest amounts and mitigate the danger of potential losses. 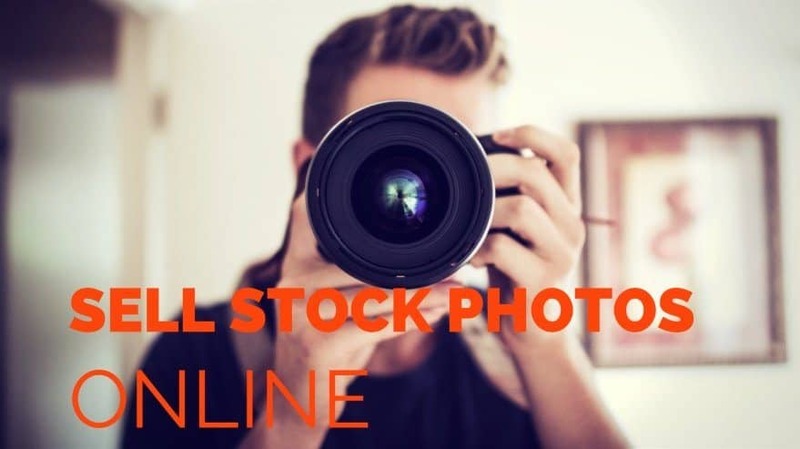 There are lots of stock photo companies that are willing to pay amateur photographers for attractive, usable shots. These can relate to almost any subjects or field. From natural landscapes to workplace ‘action’ scenes, food photography, clothing, styling, furniture, and more; the possibilities are endless with a good eye and a knack for clever framing. Websites like iStockPhoto (http://www.istockphoto.com/) and Fotolia (https://us.fotolia.com/) are popular, because they make uploading and payment easy. The trick to making this route successful is conducting regular research on the type of stock images that people are requesting. Once there is a sense of direction, it is much easier to go out and shoot subjects that are bound to turn a profit. Do be aware that, once the images have been submitted and paid for, the right to use and reproduce them is also transferred. Users should enter into this kind of agreement with an awareness of how the process works. The next section will take a closer look at some examples of the most popular ‘pay for time’ websites on the internet. To start building up a valuable online profile and capturing lucrative opportunities, the emphasis needs to be on selection. The majority of these platforms aren’t sustainable on their own, but they can contribute to a surprisingly regular and reasonably sized profit if combined. 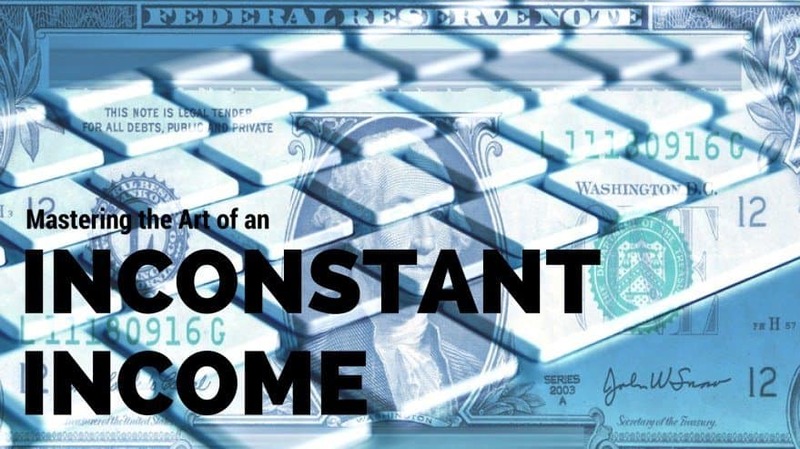 Earning an online income in this manner requires patience, dedication, and flexibility. Unlike blogging and selling, however, it offers a lot more freedom. There may be registration forms and membership mechanisms to complete, but ‘pay for time’ platforms rarely come with any real commitments. The option to leave the site and stop working is left open at all times. The following examples represent five of the most popular and easy to use ‘pay for time’ websites. They each come with their own rules and requirements, so take the time to read all instructions very carefully, particularly as they pertain to payment. Before any work or tasks are accepted, it should be clear why, how, and when fees are paid. Most platforms work with Paypal, because it is instant and very well protected. 1. Gift Back Card – Make Money Online Anywhere Gift Back Card (https://giftbackcard.com/) is an unusually varied platform. Generally, most pay for time websites focus on a specific skill, service, or commodity (for example, customer feedback). This one, however, provides a number of different earning opportunities. Users can turn a profit by completing online surveys and questionnaires. They can make money while playing new games or trialing recently released apps. Also, the company runs a valuable points and reward system. All or a proportion of the money made can be converted into Gift Back Card points. These are then redeemable for free vouchers and gift cards to Paypal, Walmart, and Amazon. For this reason, Gift Back Card appeals mostly to younger users, but there are no restrictions on who can join and start earning. 2. BestMark This company is, primarily, a mystery shopping provider. For those who aren’t familiar with the term ‘mystery shopper,’ it is an independent individual (somebody with no connection or claim) who is paid to visit a retail store or eatery and assess the experience. 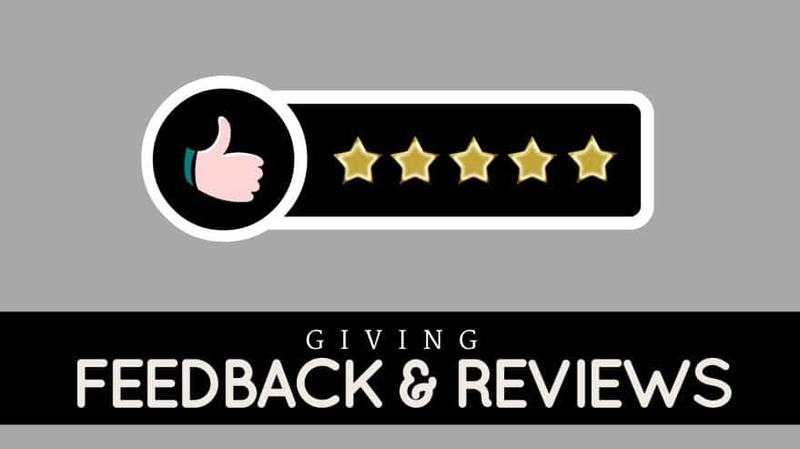 The feedback is then passed on to the establishment, so that it can be used to improve its customer service. The key to this process is the fact that the identity of the mystery shopper is kept secret. The work is steady and very easy, because all that is required is a brief trip to the assigned store. Usually, the instructions are to make a purchase. And, as the third party individual is on assignment, they are paid for this later. In other words, mystery shoppers get lots of freebies for simply doing their job. In some cases, the assignments extend to free nights in hotels and free meals, all in exchange for feedback afterwards. 3. User Testing The User Testing platform is designed to be lots of fun, which is a big benefit when it comes to earning a wage online. After registration is complete, a small test is required. The instructions are provided and they are very simple. There are no grades or marks to worry about; it is only there to make sure that you understand the evaluation and feedback process. The test must be passed, however, in order to move on and start accepting real assignments. Notification messages are used to inform users when new testing tasks are up for grabs. Once accepted, a brief overview of the job is given and the rest is pretty straightforward. Most involve two or three individual instructions. For instance, they might ask the user to move between two specific pages via a certain route, in order to check that links and connections are fully functional. The feedback on User Testing is given, directly, in the form of a voice recording. 4. TopCashBack Retail commission is a wonderfully easy way to make money for people who are used to buying a lot of products online anyway. TopCashBack is one of the most reliable providers, because it does not take a cut of the profit, like most other platforms. It gives users 100% of the commission that is earned if they choose to make a purchase via the sponsored links. This is possible because TopCashBack offers retail businesses the opportunity to be featured on their main page. Essentially, this means that they are paid by the advertisers and can pass on revenue to subscribed members. Retail commission platforms are a great option if a regular amount of purchases are being made. Otherwise, it can feel like having to spend cash, in order to make a modest amount back. 5. StartUpLift This platform is similar to User Testing, but the requirements are even more straightforward. No voice or screen capture recordings are needed, because the feedback is quickly inputted and processed via online forms. All tasks are associated with the quality and functionality of websites. Users are simply asked to spend some time on the assigned sites and share their opinions on what could be improved. The jobs on StartUpLift are all fairly quick and easy, but some carry more questions than others. Despite this, they all pay a flat rate of $5. In some ways, flat rates are valuable. When the earnings for tasks vary wildly – as they do on many ‘pay for time’ platforms – it can often be helpful to work with a fixed fee. It makes all of the jobs equal and newbies aren’t left with the most undesirable assignments. 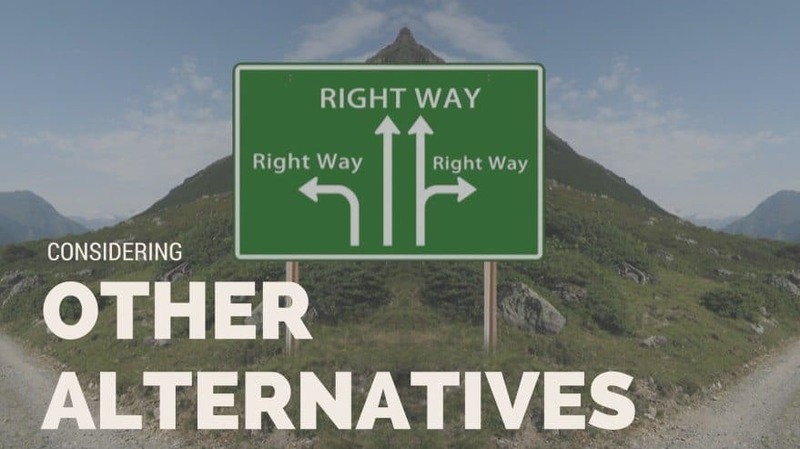 No matter which avenue feels like the best choice, there are some universal tips and tricks that can be utilized to make the process easier. Try to remember that ‘pay for time’ websites, diverse and flexible as they are, don’t represent the only method of making cash online. They are just the quickest way to earn money. More comprehensive approaches like blogging, vlogging, and marketplace trading need a lot more focus and attention to be successful. However, they are the options that offer the biggest rewards. The biggest problem with ‘pay for time’ work is that it tends to come with a tacit agreement of complicity, particularly in regards to targeted marketing. In exchange for the work opportunities, most websites demand that users give up a personal email address and a number of other basic details (full name, date of birth, etc.) Then, they spam inboxes with emails about this great website or that amazing product. It is, in many ways, to be expected. After all, they are, themselves, marketing companies. They operate with the sole purpose of collecting and passing on customer data (in most cases). So, this aspect of the process is largely inescapable. However, this doesn’t mean that it can’t be evaded. To return to the idea that lies right at the heart of this article on making money online; the personal and the private should be kept separate. When registering with multiple ‘pay for time’ websites, use an alias address. 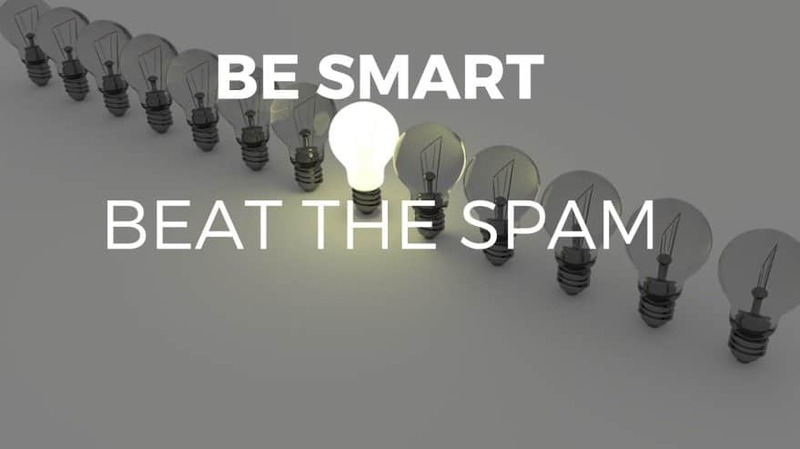 That way, all of the spam will be directed away from personal communications and prevented from causing a problem. This address should be dedicated to online work and payments. It needs to be checked for important notifications, but otherwise, it can be left largely unmanaged. It is a good idea to create individual folders for each website, as this will make it easier to keep track of updates on the respective platforms. Most websites will have a minimum ‘bank’ payment. This is the smallest amount that a user can choose to withdraw and deposit into their account or transfer to Paypal. In the majority of cases, the sum is quite small, because people are encouraged to work as and when it suits. It wouldn’t be very convenient if users had to earn $50 or more before they could bank at the end of a month. Generally, the typical minimum deposit is around $15-25. Once this sum is reached, the cash balance can be withdrawn in its entirety. The thing to remember is that these websites aren’t actual banks. They are not designed to be 100% fallible and they can’t guarantee, absolutely, the security of user balances; which is another reason why the minimum sum is kept small. 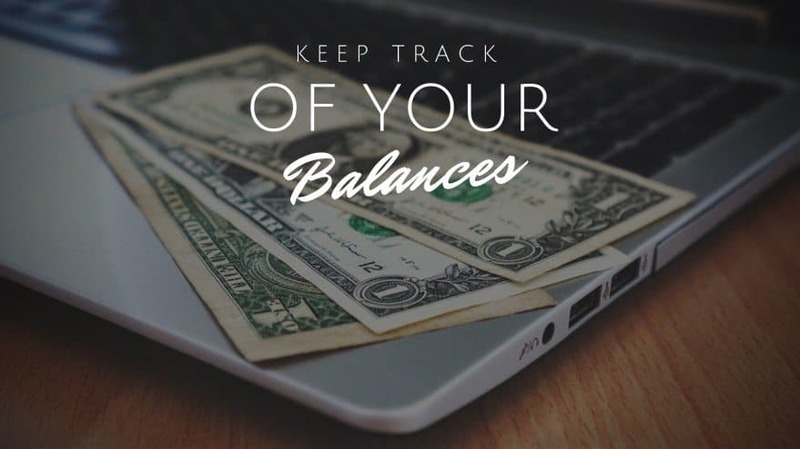 Try to keep a close eye on the money that is earned and make deposits on a regular basis, rather than leaving them to sit and accumulate for too long. It is imperative that all of the legal rules and regulations are followed when earning money online. While rules for filing vary, it is important to note that in a lot of cases you may be required to file. Claiming the income becomes imperative once the amount being earned moves beyond a specific threshold. 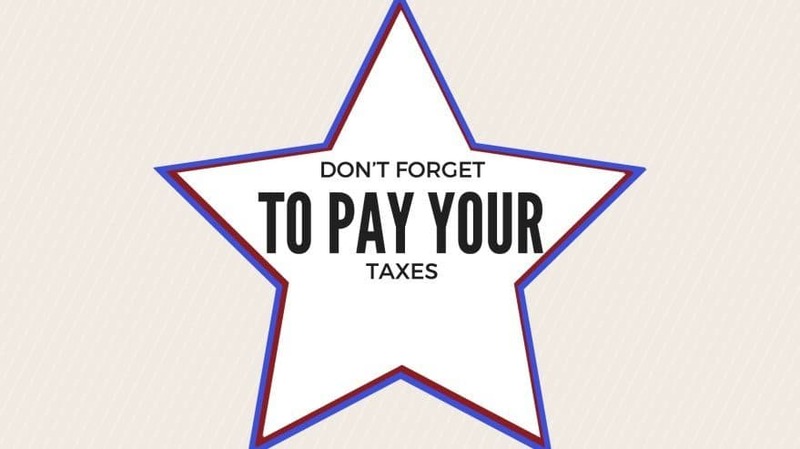 Be aware of this and understand your tax status, in order to avoid getting into trouble with the IRS. The proportion of cash that tips over the threshold will be liable for tax payments. It must be declared on the annual return and any payments need to be settled in the customary fashion. It can seem unlikely that this will happen, particularly when just starting out as an internet worker or freelancer, but the payments from multiple websites can stack up quickly. Keep track of the net amount being earned and follow the rules or you may run into trouble. The best way to keep the money rolling in is to dedicate a healthy amount of time to each of the websites that are active. This is the same for blogging and copywriting; it is much harder to earn a regular, sustained amount if there is no order to the work. Set up a comfortable workspace, where there is lots of light, and a flat, level surface for the computer. If possible, invest in an ergonomic chair that supports the back. This is particularly important for anybody who spends long hours sat in front of a laptop. 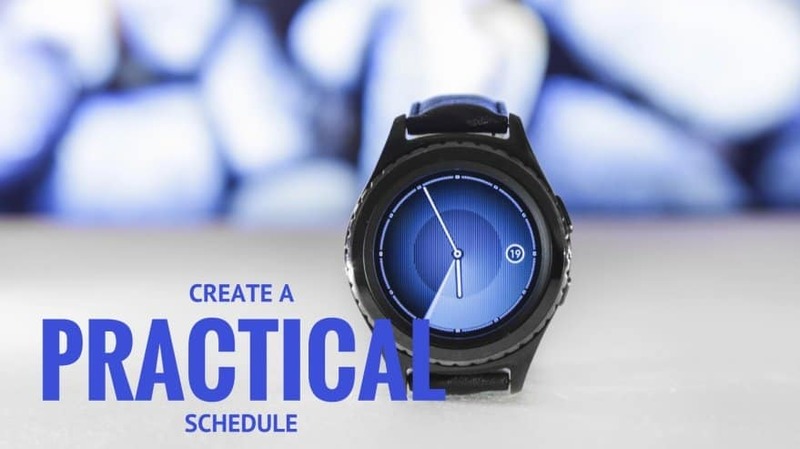 If it helps, create a literal schedule. 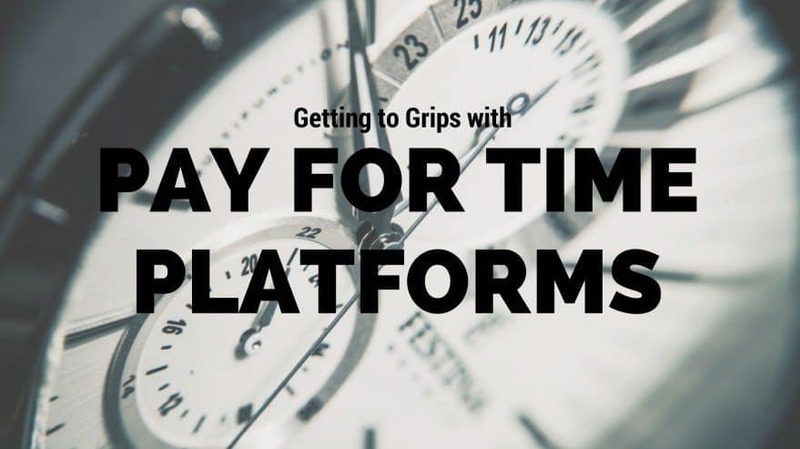 Write out, day by day, how many hours should be spent working on the respective platforms. If it feels useful, add a target sum. This is the amount of cash that it would be desirable to earn, by the end of each month. Of course, if only one ‘pay for time’ website is in use, detailed scheduling might not be necessary. In the case of two or three, however, it can be easy to lose track and let one of the platforms take a backseat. Ultimately, ‘pay for time’ websites aren’t designed to offer high paying jobs. They are based on persistence and dedication. The more time and effort is invested, the faster the balance will creep up. For the most part, any platform that offers wildly different rates to its counterparts is probably not to be trusted. If it seems too good to be true, it likely is. Keeping this in mind prevents inexperienced users from being suckered into questionable schemes and signing up to websites that are only interested in mining for customer data. If there is ever any doubt about the legitimacy of fees, take a quick look at what similar platforms are offering their users. While some very appealing rates are valid, the ones that don’t make economic sense to the buyers are unlikely to be based on reliable business models. If ‘pay for time’ work is not suitable or doesn’t offer the right incentives, there are plenty of alternative options. They don’t all involve creating and crafting new content either. Some are more to do with, essentially, playing the system. For instance, no risk matched betting is a completely legal way to exploit a loophole associated with online gambling. 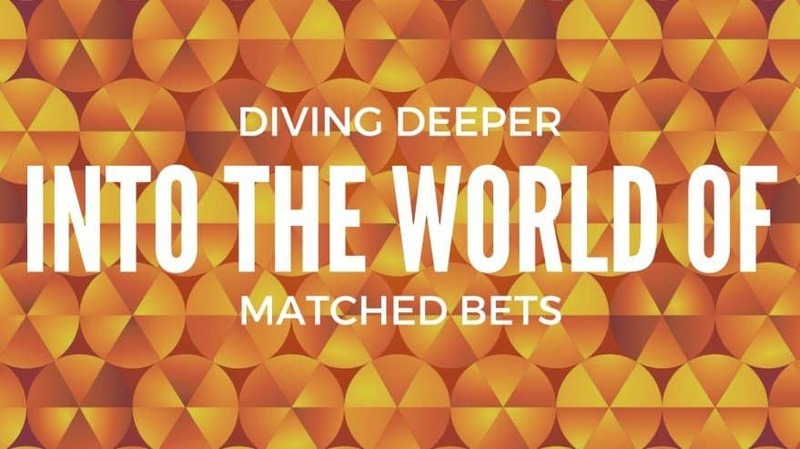 Many people have never heard of risk free matched betting. It is not a suitable choice for everybody, but for fans of online betting, it is both enjoyable and potentially very lucrative. The biggest advantage of no risk matched betting, by far, is that it guarantees a profit. As users are pitting opposing bets against one another (placing a stake on both possible outcomes), there is never any possibility of a loss. The scope of this kind of gambling is fairly diverse, because it can be utilized in any situation where there are only two prospective final results. This includes football matches, rugby, boxing, darts, basketball, cricket, and more. There is a way for people to make a guaranteed profit online, without offering any kind of personal effort or service whatsoever. It doesn’t involve selling possessions either. Yet, it is entirely legal and above board. If that weren’t incentive enough, it comes with absolutely no risk at all. Yes, it is a kind of betting system. Generally, online gambling is the only way to make a quick profit without offering anything in return. The crucial difference in this case is that the danger of loss has been eliminated. 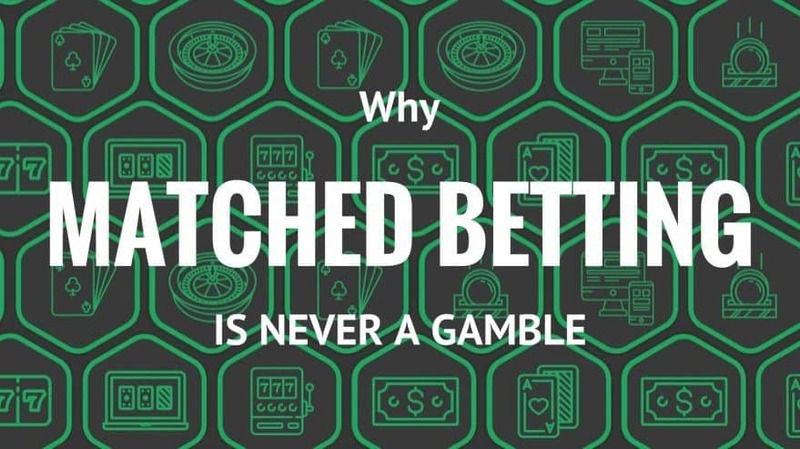 The system is called matched betting – or no risk matched betting – and it offers people from all walks of life the opportunity to get rich on the internet. The rules are simple and so wonderfully logical that it can be hard to believe that everybody from neighbors to friends and family members aren’t doing it already. In simple terms, two opposing bets are placed against one another, with rival bookies. Usually, it is a bet on a match between two teams or individuals. Therefore, the only outcomes are that Team One will win or Team Two will win. These are all the possibilities that there are to work with; the only viable results. So, if a single person were to place one bet on either result, they would be guaranteed a win. This is how no risk matched betting works and it is an infallible system. It carries no danger and no chance of losses. In fact, the only downside is the size of the average pay out. As a 50/50 gamble doesn’t involve as much risk as a bet placed on three or more outcomes, the odds tend to be smaller. On the other hand, there are no restrictions on how many times a person can place a bet. If they have the time, patience, and inclination, they stand to earn a tidy profit from matched betting alone. While the system is entirely legal, it does have to be carried out in a certain way to be a success. So, if it sounds like a good way to make money, don’t be tempted to rush in too quickly. Do some research, get informed about the facts, and start off on the right foot. This comprehensive guide to no risk matched betting will explain the rules, benefits, and relatively minor downsides. The first thing to understand is that the system works because most bookmakers offer free ‘introductory’ bets to new members. This is a popular way to entice people into signing up online and it is very effective. 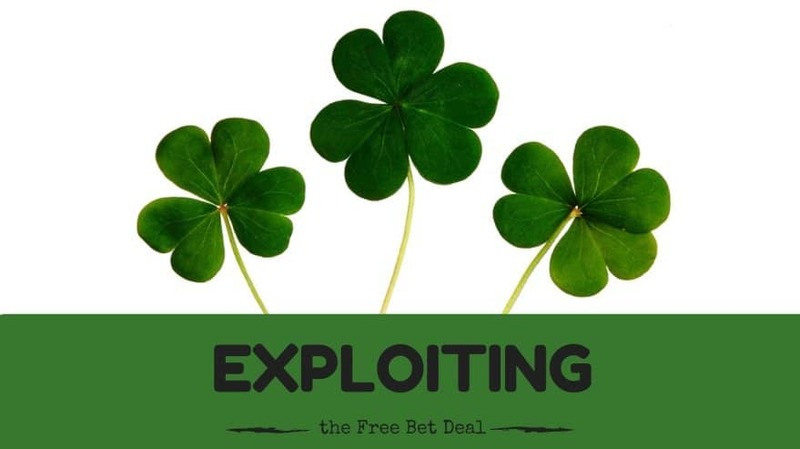 It can be exploited if the free bets are used in a matched system. So, a person registers with two different bookies, as a new member. They are given two free bets; one with either company. They can place these bets on opposite sides of the same game, as discussed. They end up with a guaranteed win, for absolutely no expense at all. As the bets are part of introductory offers, they are fixed. For instance, new users will be invited to gamble up to the value of, say, $40. Nevertheless, if the gamble pays off, as it 100% has to, that small sum is turned into a much larger one. Once this process has been repeated a number of times, a very sizeable profit may start to accumulate. To reiterate, there is nothing illegal about matched betting, even though it is, essentially, putting one over on the bookies. The key to success is understanding the system. It doesn’t require a huge amount of industry skill or knowledge, but it does need a keen mind and attention to detail. Also, remember that the most lucrative periods are around the time of big tournaments and competitions. This is a time when even people who don’t regularly gamble tend to get tempted into trying their luck. It means that lots of appealing introductory offers are around. Clearly, if result that you gambled on does not happen, you would, ordinarily, lose your stake. It is important to note that lay bets, unlike back bets, can only be placed at a recognized betting exchange (like Betfair). Back bets can be placed pretty much anywhere and at any standard bookies (such as William Hill, Paddy Power, or Ladbrokes). In the case of a matched bet, the potential loss is eliminated, because a gamble is placed on both the back and lay odds. The win is guaranteed, because both outcomes are covered. It is that simple. Most bookies operate by offering their introductory bets, for free, after a first has been paid for. So, the initial bet does have to be paid for, but the majority is recouped via the guaranteed winnings. Then, a second bet is placed – in exactly the same fashion – using the free introductory bet. This means that not only has the first expense been mostly (around 95%) recouped, the second win doesn’t cost anything either. The matched bet can’t be returned at a 100%, because all bookies charge a small amount of commission; that’s how they make a profit. However, up to 95% will be recouped. Also, do remember that, for the time being, earnings made through gambling are not subject to the regular tax rules. To earn a sizeable amount, it takes patience. Many bets must be placed, with hundreds of different bookmakers, throughout the year. This can be fussy and rather hectic, because it requires registering, individually, with every single one. Technically, there is absolutely no risk involved with matched betting. Mistakes can happen if gamblers don’t read the terms and conditions properly, but the bets themselves are fool proof if used correctly. Crucially, not only is the process legal, it has no negative bearing on credit score or anything else related to financial status. It is, somehow, just an accepted part of the system. In fact, a number of high profile bookies have been asked about their feelings on matched betting; most tolerate it as an inevitable ‘loophole’ of sorts, but don’t wish to deny customers the chance to use it. 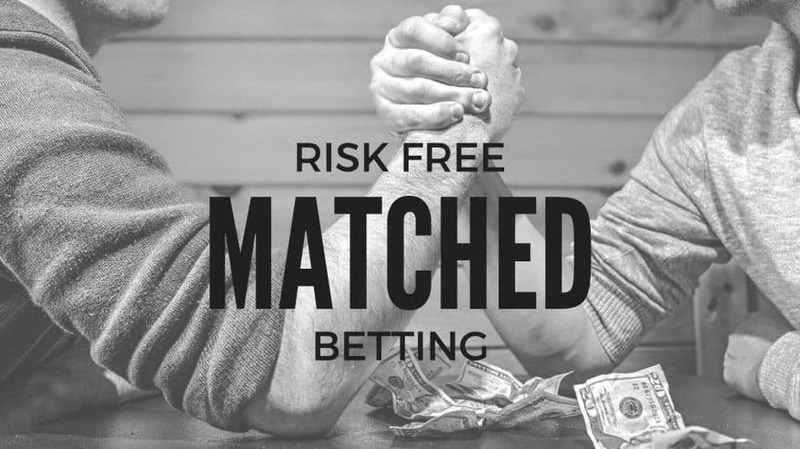 The following section will explain, step by step, how to place a no risk matched bet. Lay bets can only be placed with a betting exchange company, rather than a standard bookmaker. Betfair is a good example of a high profile exchange. Register as a new customer with one of these providers. Next, find bookies that are offering free introductory bets for new members. For instance, a company may be providing new users with a $40 free bet after they have placed a first bet of $10. Read the terms and conditions to find out for sure. After signing up, a deposit will be requested. Just pay the smallest possible amount, in order to get the free bet; this is the $10 mentioned earlier. Now, switch the odds display from fractions to decimals. This will make it easier to make comparisons with the alternative ‘lay’ bet. Don’t forget, because things will be much trickier if the odds and stakes are all presented differently. The perfect gamble to make is on a sports outcome (football is the classic choice). Try and find one with odds that match as closely as possible (on Betfair and your selected bookies). It is also a better idea to stick with low odds for the initial bet (between 1.5 and 4.0). The majority of online gambling websites have special tools that sift through the available games and odds, so that users don’t have to. Just hit the ‘auto match’ function and a list of bets that match the above criteria will be displayed. For example, a suitable bet would be backing France to win at the regular bookies (with odds of 2.25) and then backing them to lose at the betting exchange (with the closest possible matching odds). As already explained, the bet cannot lose, because both outcomes are covered for a win. So, there will definitely be a profit. The thing to remember is that one of the stakes has to be lost, in order for the other to win. They, essentially, cancel one another out. At this point, because the first bet has been bought and paid for, no overarching profit has been made. However, the win has cancelled out that initial expense and unlocked the free bet that was promised by the bookie. This is the real secret to the whole process and the point at which clever gamblers can really start making money. It works because the whole system can be repeated and another guaranteed win can be collected. But, this time, the bet was free to begin with, so the win is 100% profit. The system builds from here and if the right moves are made, it has the potential to be extremely lucrative. The only major downside is that it involves a lot of rather boring administrative upkeep. Most people shy away from no risk matched betting, because it requires a significant amount of patience, organization, and monitoring. 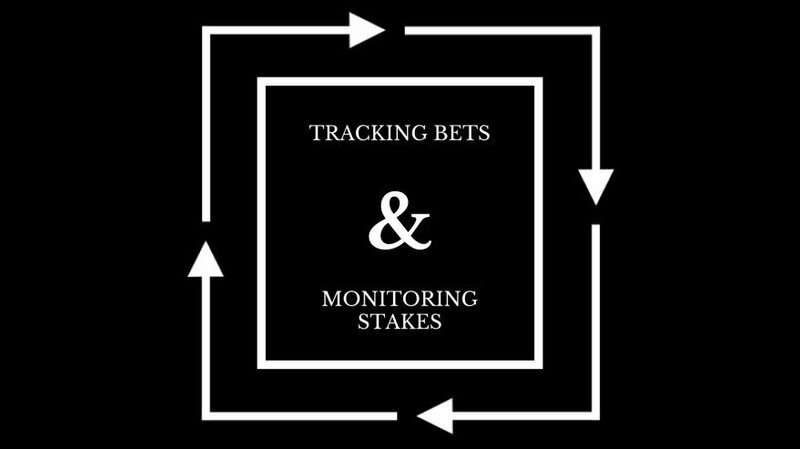 Once bets are placed, they need to be tracked and recorded, so that winnings don’t get lost or overlooked. Also, as new bets are only open to first time members, a lot of fussing around with throwaway email addresses is standard. It is wise to assign several non-personal accounts to this endeavor. Nevertheless, with the right amount of time and patience, no risk matched betting can be used as a very effective source of online income. The individual winnings are never huge, but they can be much larger than the profits that can be earned on ‘pay for time’ platforms and similar internet services. 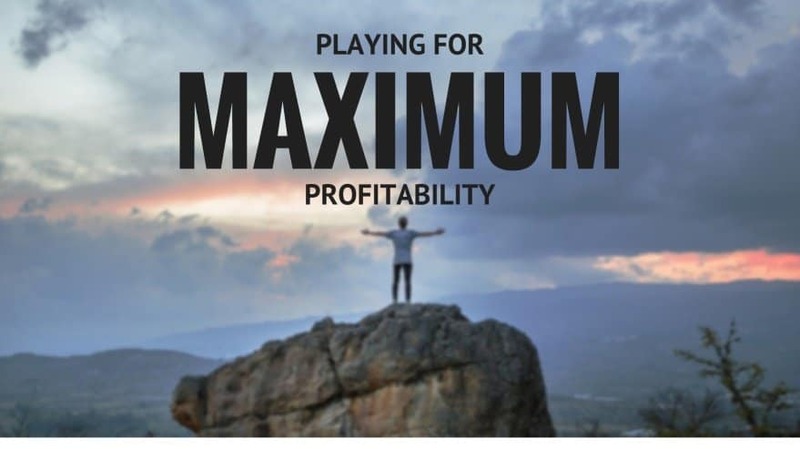 Plus, with no restrictions on the number of matched bets that can be placed, the only overarching limit on profit is how much time can be dedicated to the activity. For those who are not comfortable with gambling, matched betting can feel too risky to be a sustainable way of earning money on online. Despite the fact that no losses can be made – probability makes this clear – it isn’t the right choice for everybody. Those who tend to thrive with matched bets are people who are skilled with numbers, have previous experience working with bookmakers, and enjoy watching sports anyway. In fact, football fans are particularly well placed to benefit from this clever system. Crucially, it will also dispel some of the reoccurring myths about the practice and help put minds at ease when it comes to things like legality and tax status. It is important to remember that no risk matched betting is just one way to make money on the internet. The possibilities are endless, which is why a little patience and time can go a long way. Ask questions, carry out research, and start uncovering a world of profitable opportunities. As already established, the only way that matched bets can go wrong (technically), is if the bet wasn’t placed correctly in the first place. This is a common problem for people who are just starting out. They tend to rush ahead before they’ve really gotten to grips with the basics. 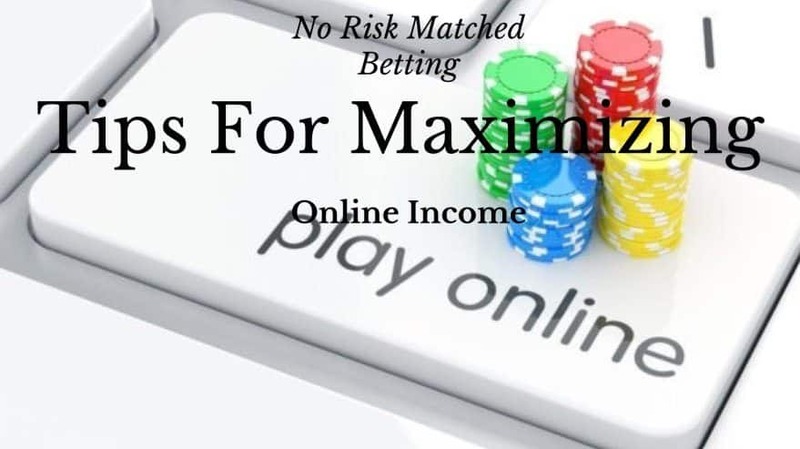 It is worth taking the time to read through more than one comprehensive guide to non-risk matched betting if it seems like a viable hobby. Matched betting is a very effective way to make money online, but it must be approached with care. While the legality of matched betting is not an issue, it is still necessary to behave like a regular gambler, rather than somebody who is trying to play the system. The free introductory bets that are needed to make this technique work are designed for standard punters, who want to make traditional bets. They are not intended for people who want to turn the betting system on its head and pit opposing stakes against one another. Keep this in mind when you register with bookmakers and betting exchanges. The bookmakers are aware that many people gamble in this way and they have no problem with it, because they’re not the ones who always lose out. The gambler may win every time, but the bookmaker or betting exchange also has a 50/50 chance of being the company that doesn’t have to pay out. Ultimately, this is no different to a standard bet. It doesn’t matter whether the back bet has been cancelled out with an opposing lay bet, because the bookmaker still has the same chance of not paying out. According to a leading spokesperson for popular bookmaker William Hill, “There is no illegal element here. 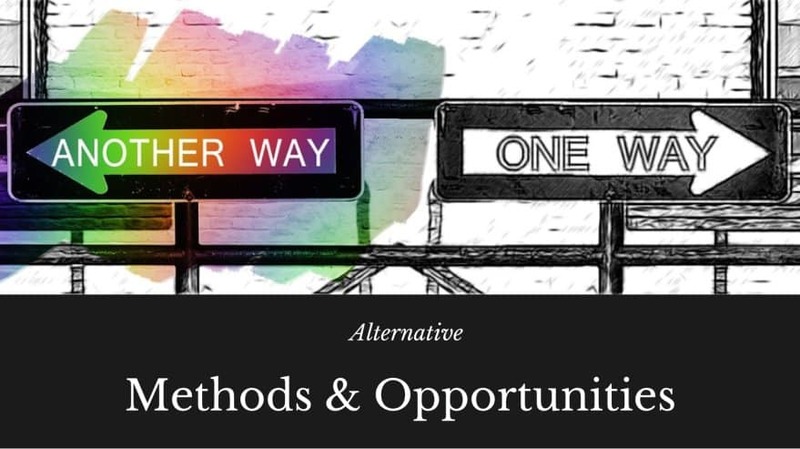 Our customers can do whatever they like with their free bet or introductory offer.” However, the thing to understand about matched betting is that it might be tolerated, but it is not entirely encouraged. If people were to start registering multiple times, in order to get lots of free bets, the bookmaker would lose money. Therefore, most bookies try to stop this from happening in one way or another. The reality is that some crafty internet users will always find a way around the system. Yet, it is not an easy thing to do, because many of them check IP addresses to identify computers that have signed up for free bets, with a number of different accounts. 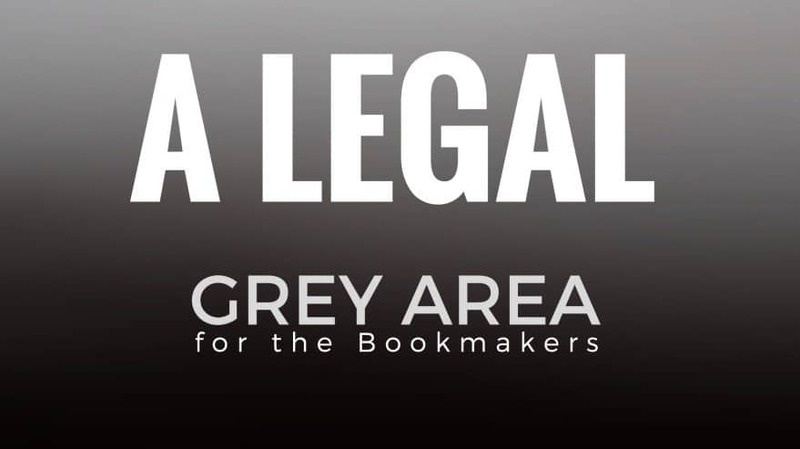 The bookmaker has a legal right to confiscate offending accounts and any winnings that they feel weren’t earned fairly. This action is not taken often, but it is the inevitable outcome for anybody who doesn’t toe the line and play by the rules. Matched betting definitely gives gamblers an unfair advantage, so the unspoken rule is that players shouldn’t push too far or get too greedy. It is always best to register with a new bookmaker every time that the system is restarted and repeated. That way, your winnings are safe, because you qualify for the free bet, no matter how you intend to use it. With new bookmakers appearing on the high street every week, it would take a very long for even a voracious gambler to work through them all. To be successful, a matched bet has to be made up of two distinct components. There is the back bet and the lay bet, as discussed earlier. So, for every gamble that is pursued, two new companies must be found and assimilated into the system. The first is a standard bookmaker and the second is a specialist betting exchange (for the lay bet). The match between these providers is important, because the odds of both bets need to be kept as close as possible. 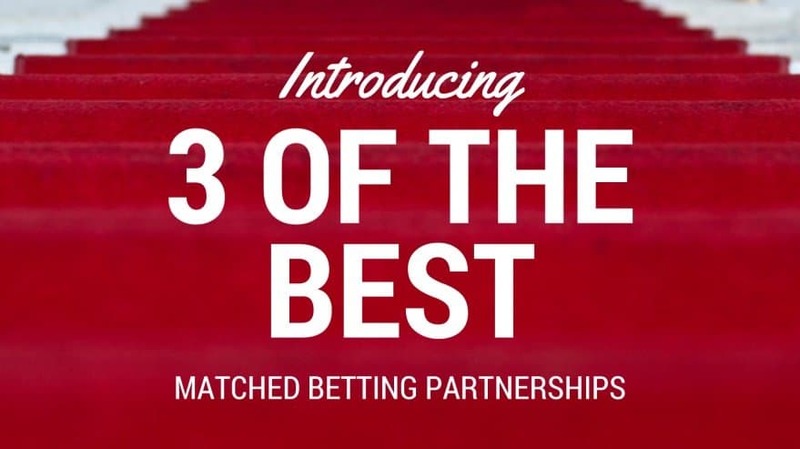 The following section will outline three of the most effective bookie and exchange combinations operating in Europe. 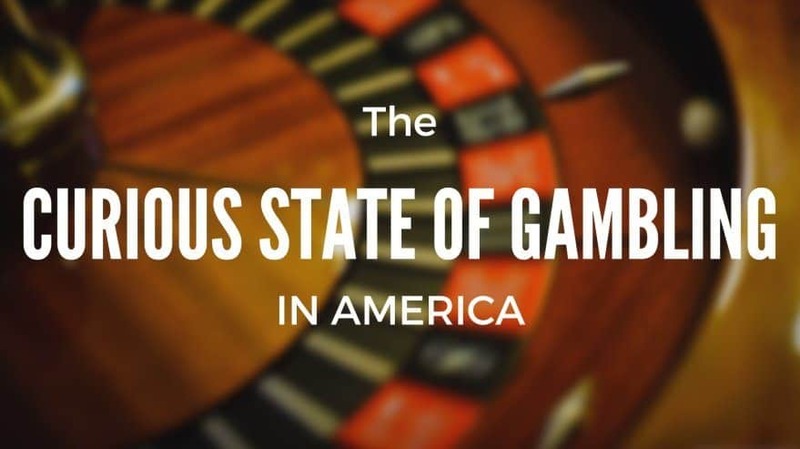 For gamblers in the US, circumstances are a little different, but there will be more detail on this later. When looking for a new betting exchange, Smarkets represents one of the finest. They are well worth registering with, because they offer an unbeatably low commission (just 2%). This is significantly smaller than many of the more mainstream providers. Plus, they also provide some fairly decent odds right across the board. If that weren’t enough, registering with Smarkets leads to a £10 free bet. Add Bet365 to the equation for a truly lucrative opportunity; the bookmaker is currently offering a whopping £200 in free bets. Just like Smarkets, BetDaq is really great for commission. The rate is slightly higher, at 3%, but this is still well below the average. This provider is a great alternative to a bigger, more recognizable name like Betfair, because it has been around for just as long. This means that it can offer impressive liquidity on the primary markets. There is a £35 introductory offer for new BetDaq members. It can be matched with the similarly rewarding £88 introductory bet that comes with being a new 888 Sport member. As the biggest and most successful betting exchange around, it should come as no surprise to find that Betfair charges the highest rate of commission (5%). It is able to maintain this above average rate, because it has so many customers. It also offers a wide variety of markets and a huge amount of liquidity. The downside is that Betfair doesn’t give new members any kind of introductory offer. Nevertheless, William Hill does offer a £25 free bet for new gamblers. If the two companies are paired (one for a back bet and the other a lay bet), a sizeable sum in gambling winnings can be earned. Currently, due to laws on online gambling, there are no high profile betting exchange companies operating within US markets. Therefore, American gamblers will have to register with a European provider and place their bets primarily on European matches and events. The good news is that there are plenty of standard bookmakers. While many of the biggest names are also top of three in Europe, there are plenty of smaller, mostly US known businesses too. The most prominent include Bet365 (one of the world leaders), 10Bet, 5Dimes, Planet of Bets, Parimatch, Pinnacle, Red Bet, 188Bet, and Matchbook, to name a few. Even though William Hill is a UK based company, it is also fairly popular in the States. These bookies tend to deal mainly in hockey, basketball, and baseball stakes, because these are the sports that US gamblers get really excited about. Unfortunately, the situation with the betting exchanges means that US players don’t always get the chance to wager on these sports. The consequences of being able to place a back and a lay bet, on a single event, are very important. They create some valuable opportunities for shrewd gamblers. Three of the most commonly used are scalping and dutching, and laying the field. The next section will briefly discuss the specifics of scalping as a way to make money via online gambling. 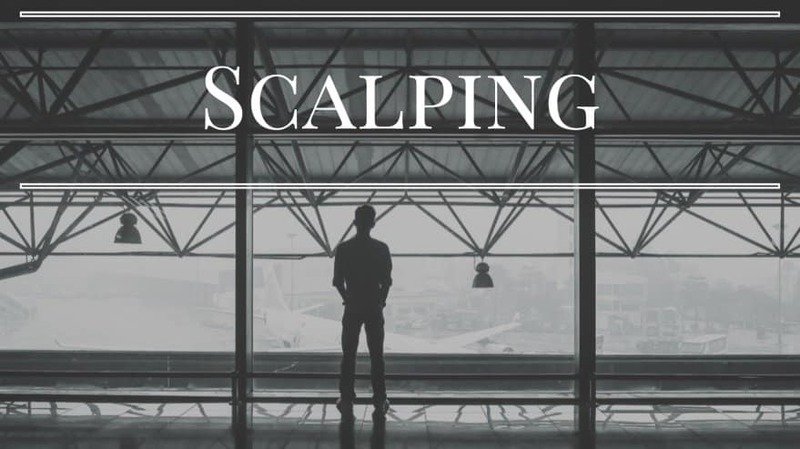 Scalping (also known as just ‘scalp trading’) is a basic method that can be employed in multiple ways. The specific route used tends to depend on the type of market being gambled and the size of the stakes. The aim is to earn financial rewards, via minor fluctuations within the price of market odds. For this to work, the initial and eventual trades must be closed within the same short time span. The tried and tested method is the ‘market trader,’ which refers to a trade that profits after just one price change (or tick) in the market is traded. In other words, a good gambler could do this by backing the high side of the tick (at odds of 12.0), as well as the low side (11.5). The intention is for the odds to move, at some point, across this price range. In the end, the result would be that the gambler backed high and layed low. This is a neat and clever trick and it can make matched betting fans a lot of cash, but it also comes with its own risks. It should only be employed when conditions are favorable. There is a lot to think about if non-risked matched betting is to go smoothly. For instance, how big should the first bet be, especially as this is the one that the player actually pays upfront for? Once again, it really depends on the intentions of the gambler. For anybody who is new to matched betting, however, it is much better to start off small. The minimum amount that can be played, on the first bet (in order to win the free bet), will usually be equivalent to the free bet, bonus, or introductory offer. With accumulated experience, the stakes can be raised, but do remember that 50/50 gambles don’t always carry the most impressive odds. 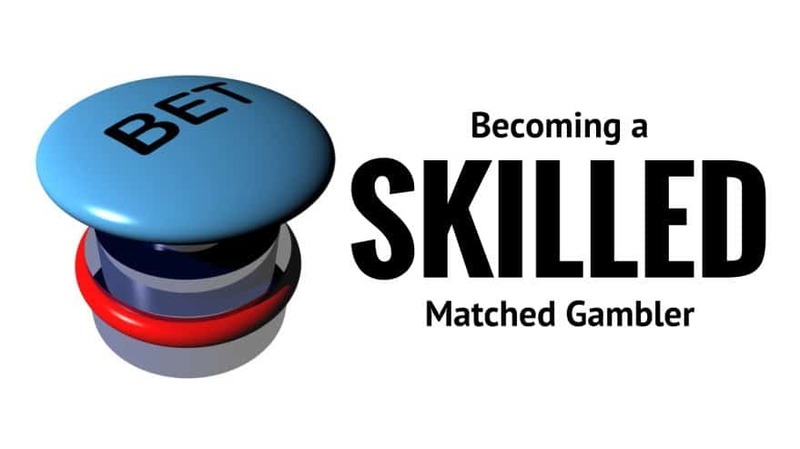 The key to earning money via non-risk matched betting is to gamble with precision and care. It isn’t about winning huge amounts on a handful of bets; true success comes with persistence and the skill to manage lots of small bets, across a diverse selection of bookies and exchanges. 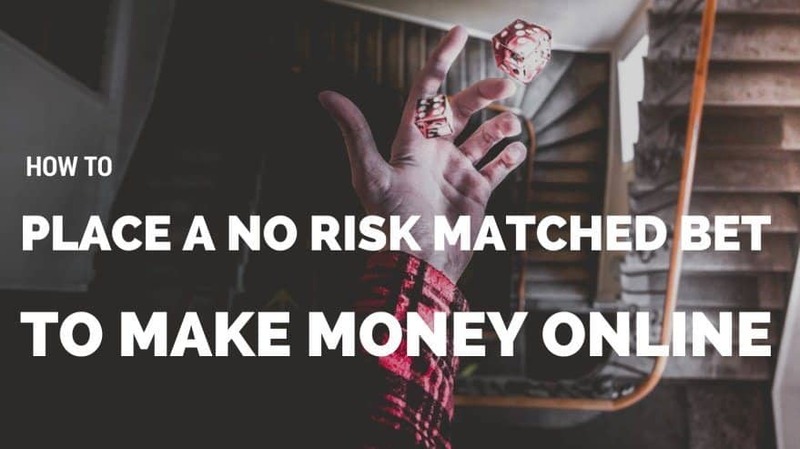 There is really no risks associated with matched betting, because gambled money can’t be lost if both outcomes produce the same amount of winnings. In fact, the only hazards involved are negligible and they aren’t directly connected to the stakes themselves. Most only come about due to human error; for instance, depositing cash using an incompatible payment method, claiming free bets after they have already expired, and placing the wrong bets or an incorrect amount. In some extremely rare cases, untrustworthy bookies have been known to steal cash from users, but this is very uncommon. 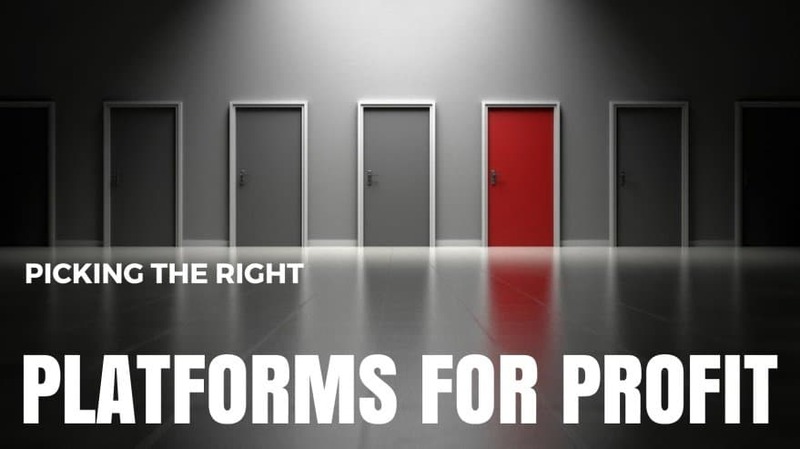 As discussed, a bookie has the right to withdraw or forcibly close an account if they consider the user to be exploiting the introductory offers. Some companies will issue a warning first, while others will simply shut down the account and confiscate any remaining credit. So, be careful when picking and placing exchanges and bookies together. For the most part, these partnerships operate smoothly, but there can be bumps in the road for those who get too bold. What’s more, it is very unusual for bookies to credit check new members. This means that matched betting activities have no impact at all on credit score or status. 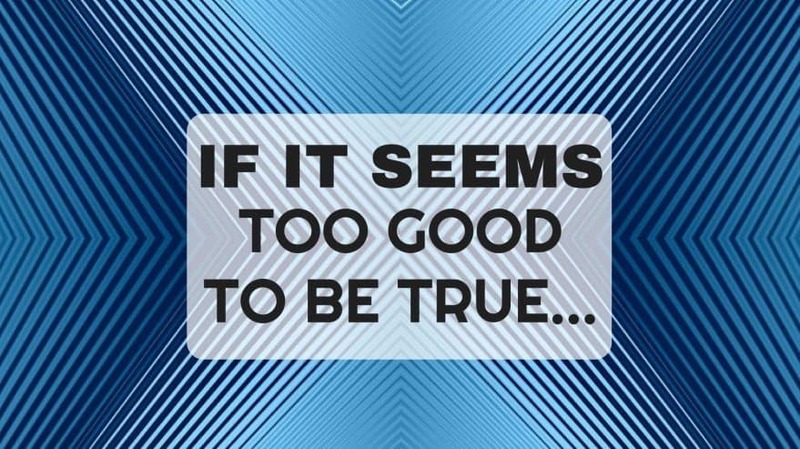 The only thing that betting exchanges and bookmakers want to verify is whether a user has provided accurate information. Gambling in this manner cannot negatively affect the ability to request and receive credit. 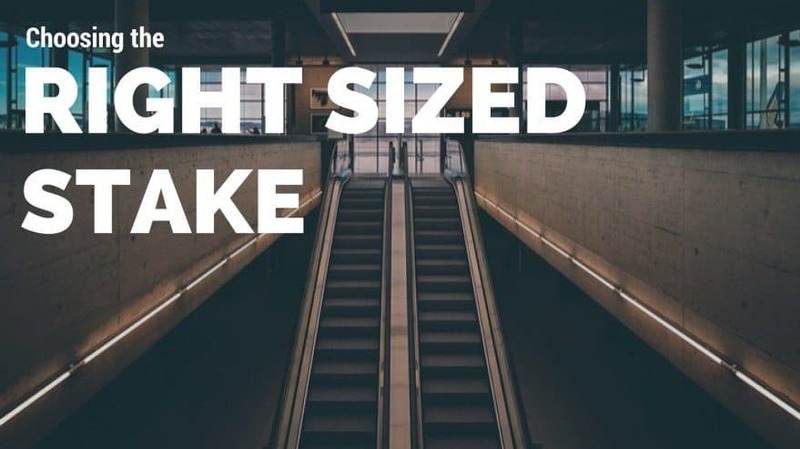 The truth is that non-risk matched betting won’t suit everybody. For example, people who aren’t comfortable with numbers and calculating odds are unlikely to thrive at this discipline. They may find their niche in the form of freelancing, however, because it represents a move away from games and ‘playing the system.’ It is a medium that is based on skill and, if the right contacts and associations are made, it can be a great way to earn money online. The next section will discuss the various benefits and downsides of working as an internet freelancer. It will explore some of the different options available and touch upon the amount that skilled freelancers can earn in a single year. 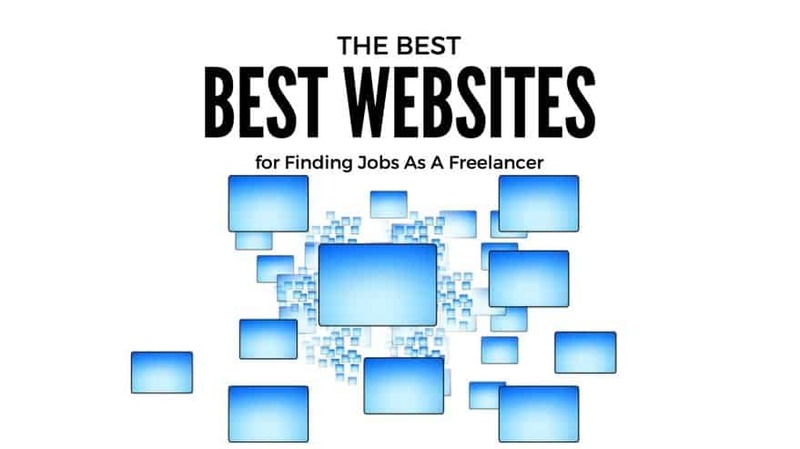 The freelancing industry is vast and diverse, so it encompasses a lot of different disciplines and skills. 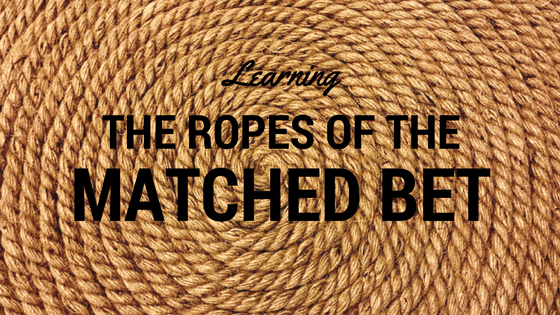 Contrary to popular belief, it involves a lot more than just copywriting or data entry duties. The term ‘freelancer’ is subject to all kinds of myths and misconceptions. For many people, it is shorthand for career slacker; either because they don’t understand this line of employment or they don’t recognize it as a legitimate option. This can make freelancing a tough profession, as it often comes hand in hand with low expectations. Yet, in reality, freelancing is an extremely diverse and rewarding world. It can encompass a huge variety of different jobs, from writing to sketching, photography, carpentry, clothing design, furniture making, and much more. 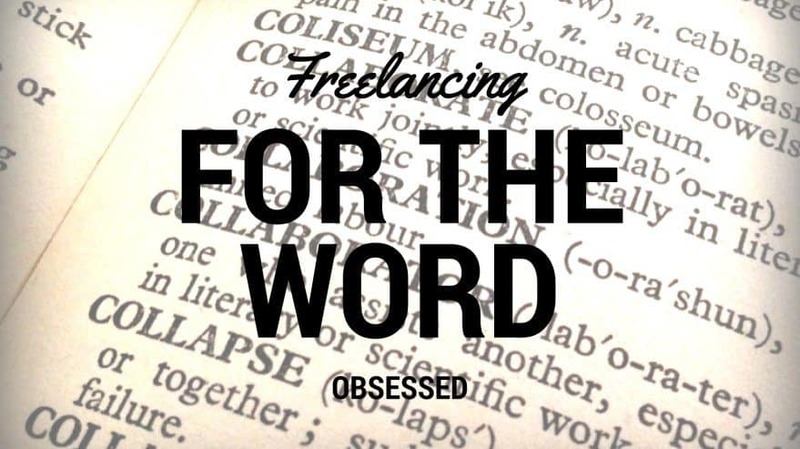 The dictionary definition of ‘freelancer’ says that it is a self-employed worker with no firm commitments to a particular boss, client, affiliate, or customer. 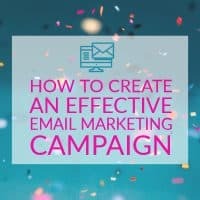 The most common example of this is commercial copywriting, because it is easy to create and manage this kind of over the internet. Freelancing is a great way to earn money online for anybody who doesn’t want to trap themselves in a long term employment contract or who wants the freedom to liaise with many different clients. For this reason, it is particularly well suited to independent traders or individuals with a personal skill or service to sell. It allows them to remain in control of how they sell their product and to whom. Plus, freelancers have the opportunity to make a great deal of cash if they can find and exploit the right connections. In fact, this is one of the most lucrative methods of making money via the internet. If a person is willing to put a lot of time and effort into creating a high quality product, they can very easily build up a superb online reputation. At this point, it is common for previous clients and customers to start recommending the product or service to new ones. For instance, a small scale translator is likely to earn assignments quickly if the standard of work is high from the very beginning. As with blogging, freelancing takes a lot of time, patience, and dedication. It can be turned into a fulltime career. While the success of a blog relies on all kinds of social and cultural variables, there are certain types of content that will always be highly sought after. The key to success is to pick a strength and stick with it; being too broad at the outset will only cause efforts and energies to be split. The focus should be on building up a strong, reliable online presence that is clearly associated with a sellable product. There is one standout advantage of choosing freelancing as a part or full time career. It comes with the freedom to be completely independent. Freelancing professionals can work from wherever they like, including in home offices, dining rooms, and tucked up in bed. There are no rules apart from the ones that they set for themselves and the hours are totally flexible. 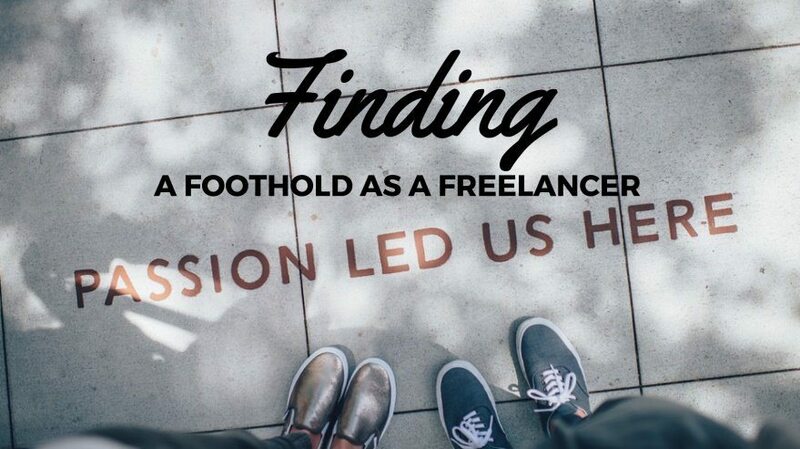 In other words, freelancing allows a person to become their own boss. It is an escape from the nine to five routine, but it can be an awful lot of work. As there is no need to be tied down with one employer or one position, the nature of the work may be constantly changing. This keeps things fresh and exciting. It helps if the work involves a passion or a hobby (like drawing or writing), because then it barely feels like work at all. It is, essentially, being paid to pursue a personal interest. For millennials, this level of freedom has become increasingly important. It is opening up exciting possibilities and enabling young workers to function as digital ‘nomads.’ This means that they can relocate and move around the country or the planet as and when they see fit. As long as they can access the internet, there is simply no need to be tied down to one location. It is a transient lifestyle, but it is ideal for twenty somethings who want to earn an income while following their dreams. The digital nomad is flexible, adaptable, and knows how to capitalize on the myriad chances and opportunities that present themselves online. Whether full or part time, they have ultimate control over what they contribute to the world. 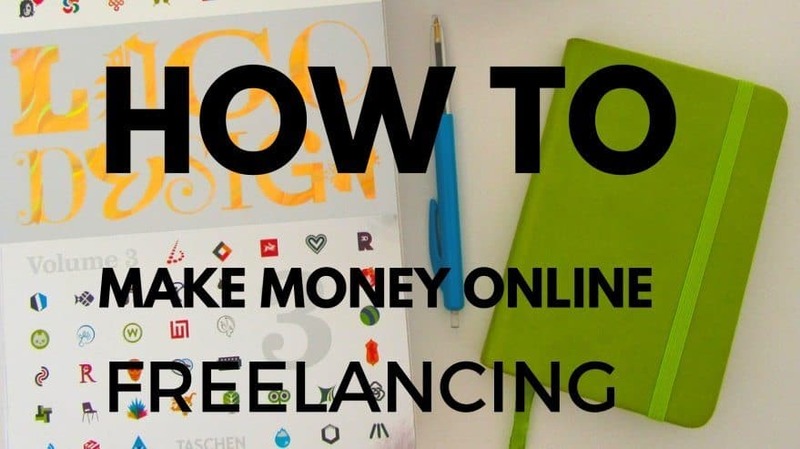 It is a mistake to assume that freelancing is an easy profession or a quick way to make cash. There are ways to do this, but they don’t involve as much skill or organization. To be a freelancer is to have a conventional job; it is the method of delivery that is non-traditional. Instead of working in an office, producing transcripts of phone calls, a freelancer might carry out the same tasks from home, working to their own schedule. The reason why freelancing is so much harder than conventional work is because it provides little to no job security. Yes, there is next to unlimited personal freedom. In exchange for it, however, a freelancer must be constantly ‘on the move.’ If they are not always active and searching for new assignments, the work and money will dry up. Ultimately, the responsibility for finding work rests solely with the freelancer themselves, which can make the job a stressful one at times. Some disciplines, like academic proofreading, are seasonal. The amount of available work fluctuates throughout the year; sometimes it is in abundance and, other times, it is scarce. This is why freelancing should only be made a full time job if the desire to commit oneself entirely to the work is there. The promise to serve a single employer – as is conventional with contracted work – must be replaced with a promise to maintain a viable wage. For full time freelancers, this should and must be the ultimate goal. If not enough work is pursued and completed, there is no alternative source of income to fall back on. For those with little experience of this kind of work, the advice is to start out slow, as a part timer to begin with. Many freelancers start selling their products and services without the help of third party platforms. However, it can be tricky to know where to begin and who might be interested, so freelancing platforms are a really valuable tool. They match clients with compatible freelancers who have the right skills to fulfill their needs. UpWork (https://upwork.com) (formerly ODesk) is currently one of the most popular freelancing resources on the internet. This is, primarily, because it is so broad. There are 75 distinct job categories and they are each filled with relevant tasks and assignments. The platform handles work and services of all kinds, from copywriting to IT skills, translation, legal work, financial advice, programming, and more. There are no restrictions on who can sign up and the amount of available work is always very high. At UpWork, it takes mere minutes to become a new member and users get to set their own hourly or piecemeal rates. The feedback system helps clients find the most skilled people. All that users have to do is browse the categories, pick an assignment that suits them, and then complete it within the given timeframe. Freelancer (https://freelancer.com) has no specific niche. It offers assignments in areas like data entry, marketing, copywriting, and web design. The system is intuitive and easy to use; new members can even sign up via Facebook. The amount of work rarely dips, because a lot of companies use Freelancer as a way to complete one off tasks. The website has a fairly aspirational bent, which can be helpful for new freelancers in search of guidance and encouragement. The thing about this kind of work is that it can be isolating. Oftentimes, there is no ‘superior’ or ‘boss’ to consult if something goes wrong; a lot of responsibility is carried. So, it can be comforting to work among millions of likeminded people. 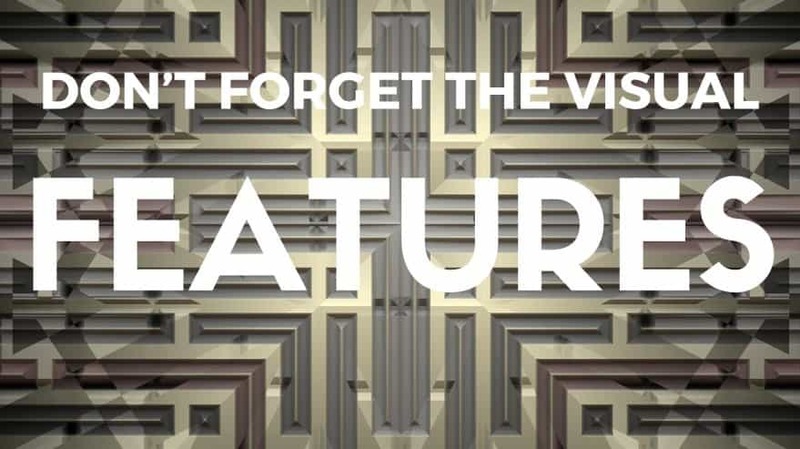 The Guru platform is one of the few that doesn’t have a heavy focus on commercial copywriting. Instead, it looks for technical, creative, and corporate workers. The emphasis is on game developers, engineers, attorneys, and programmers. This latter discipline is particularly lucrative. Unlike copywriting – which is a fairly common talent – programming and coding are much more difficult to carry out to a high standard. Freelancers can charge significantly more for these services. If they impress clients, recommendations are likely and they will lead to a steady stream of tasks and projects. It is not uncommon for clients that encounter talented freelancers via third party platforms, like Guru, to later propose a more one to one relationship. This is something that the platforms themselves don’t really like, because it undermines them, but it is a rewarding situation for the worker being lured by the promise of a generous rate. The premise of this rather fun and frivolous resource is very simple. All of the advertised services start at a price of $5, hence the name. Users are encouraged to offer anything and everything that they think might be of interest to somebody looking to buy. There are few rules, so it can feel a little chaotic at times, but the freedom to be creative is appealing to most. Poems, songs, paintings, animations, clay models, card tricks, and more are all on the menu. Fiverr (www.fiverr.com) lets users take charge of their own profiles and promotional straplines. The most successful posts are the ones that stand out from the crowd, rather than the most professional. While this platform certainly won’t be right for everybody – if you are looking for serious work, it is probably not the best choice – it can provide an enjoyable break from the more mundane tasks and assignments. Toptal (https://www.toptal.com/) is slightly different to the rest, because it is specifically designed to cater to experienced and long term freelancers. After working in this way for a couple of years, it can often feel like there is no clear route of progression. It can put some people off and discourage them from making freelancing a ‘career.’ However, websites like Toptal provide an opportunity to pursue more prestigious projects. In order to use it, freelancers must pass a rigorous screening process. This can seem like an unnecessary measure, but once verified, it should be clear to members why access is limited. There are jobs from a wide variety of well known clients, like AirBnB, Zendesk, and JPMorgan, to name a few. Members are also invited to sign up for Toptal networking events and meetups, as well as sponsored tech conventions. The single most popular freelancing product continues to be commercial copywriting. It is a service that is always highly sought after. It forms the basis of pretty much every piece of writing that is seen on the internet, so the work is plentiful and extremely diverse. 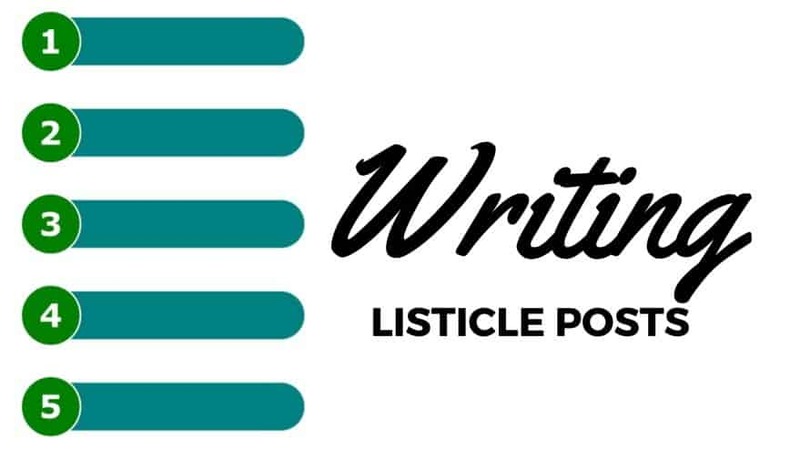 Freelance copywriters can find themselves working on website descriptions, blog articles, how to guides, short stories, product reviews, and so much more. The benefits of becoming an online copywriter, as a way to earn an extra income, are numerous. This is a relatively easy industry to infiltrate. The supply of work never really dwindles and a lot of money can be made writing content that is simple and very straightforward. The main downside is that it can only ever be a full time position if freelancers are willing to work extra hard, in order to make up for a lack of job security. The best copywriters have a robust reputation that they can fall back on; they provide a varied portfolio of work, in return for a reasonable fee, great feedback, and future recommendations. While freelance copywriting is no way to get rich quick, it can be an effective way to make money without having a lot of specialist skills or formal academic achievements. As discussed, the most common type of freelancer is the copywriter or commercial writer. This is an individual who sells words for a living. Some writers are part time, while others pursue writing as a full time career; it depends on lifestyle and the level of passion for the work. The important thing to understand about freelance copywriting is that almost anybody with decent writing and grammar skills can do it. There is definitely a difference in quality between decent and exceptional writers, but opinions are wildly subjective on the internet. For instance, what one client might consider superb writing, another may think too flowery or over the top. Ultimately, it all comes down to being able to follow briefs to the letter, deliver work on time, and maintain a consistent standard. For most then, it is not the work itself that turns out to be difficult. It is the amount of time and commitment that must be invested in building up a strong online portfolio. Just like other forms of freelancing, if it is to become a full time career, compromises and sacrifices do have to be made. For instance, even though freelance copywriters get the opportunity to work from home and create their own schedules, the freedom comes with some drawbacks. It is just as common for shifts to run far over as under; without a guaranteed salary to fall back on, overtime is inevitability. Most copywriters work long hours and spend much of their time corresponding with this client or that client. It can be an exhausting experience and those with little passion for writing are bound to struggle. On the other hand, freelance writing rewards enthusiasm and engagement. The more enjoyable it is to write blogs, articles, website descriptions, and reviews, the better the content will be – and the more impressed it will leave the client. Good work and positive reviews naturally lead to recommendations and, over time, the pressure of constantly having to keep up the pace is lessened. This can take some time, however. In the meantime, new writers should try to be as broad as possible and use the many online freelancing platforms to their advantage. Keep reading to find out why commercial copywriting is not the only way to make a living out of a love for words. They are very easy to write, because they don’t require any specialist knowledge. In fact, a quick google is enough to produce fifty different listicle titles and ideas. Websites like TopTenz (http://toptenz.net) and Listverse (http://listverse.com) pay freelance writers for witty, entertaining listicle articles and blogs. For serious copywriters, they tend to be a welcome break from the dourer, more mundane commercial topics. For new writers and casual wordsmiths, they are just a quick and easy way to make a little bit of cash. It is also pretty cool to be featured on these websites, given their wild popularity with film, game, and television fans. These days, it is easier than ever to get a book published online. The Amazon Kindle Direct Publishing service (http://kdp.amazon.com) is a comprehensive resource designed to help independent writers make money from their work. 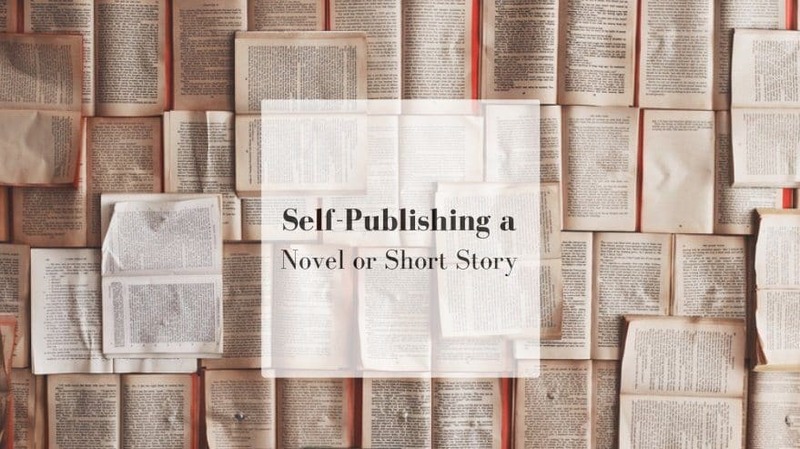 It could be a short story, a longer fiction title, a collection of essays, or even a travel diary; if it has the potential to interest and entertain somebody, it can be published and promoted. Plus, it is really easy to upload manuscripts with Amazon. They even help writers ensure that their content is compatible with multiple devices, particularly the Kindle. 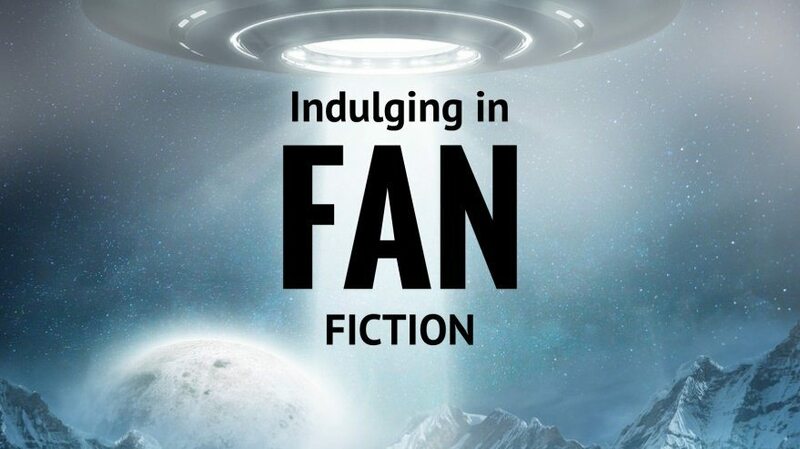 If it seems unlikely that enough people would want to read such a labor of love, don’t forget that recent Hollywood blockbuster The Martian started out as a relatively unknown title on an obscure blog. Author Andy Weir released it in bite sized chunks, on his own platform. He was later handed a movie deal, so great opportunities are out there. Content writers are, essentially, just copywriters with a little less freedom. Instead of sourcing their own assignments and tasks, they browse for them on special platforms like Crowdsource (http://www.crowdsource.com/) and Freelancer. The nature of the work is very diverse, because these websites feature content on every subject and topic imaginable. One day a writer may be crafting compelling copy about ski lodges, the next might involve a jump to something unrelated like horse riding. Content platforms are an effective way to make money, through copywriting, as they tend to come with automated payment systems. This means that payments are never late and unscrupulous clients have no way to try and cheat writers out of a fair rate. Also, the variety and abundance of work is always very high. Ultimately, working with content websites takes some of the pressure out of being a freelance worker, with no employment commitments. The aim should be to follow job briefs as closely as possible. There is little room for personality here, because clients want a high quality service, first time. If revisions are needed, it takes longer for the content to become valuable and, therefore, the service is less valuable too. To make money and be truly successful, deadlines must always be met. 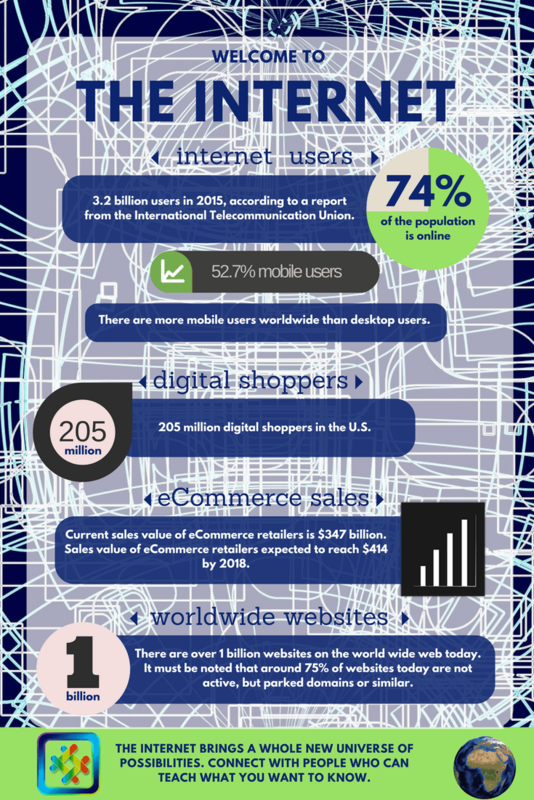 Reliability, skill, and professionalism are a key part of building up a strong online presence. Learning how to craft clean, compelling copy for content websites is often a necessary first step towards becoming a full time copywriter. The work is similar, but the difference is in how it is approached and delivered. Independent copywriters source and interact with their own clients, rather than using a content platform as a middleman. It involves a greater degree of responsibility, because there is nobody to act as mediator. If an article or report is late or of a poor quality, it is the writer that must deal directly with the fallout. They have to find a solution to the problem and mitigate the damage to their status or reputation. There are lots of websites on the internet that can connect freelancers up with compatible employers, but the true test of skill is dedication and patience to delivering a consistent quality product. It takes time to get established as a talented online creator, but once it happens, work and recommendations will come flooding in from all corners. Perhaps the biggest benefit of being a fully independent copywriter is being able to dictate rates and fees. There is a valuable degree of control over how much content is worth. Sometimes, there will be clients who refuse to meet the given rates. They may even threaten to find another, cheaper writer if the prices aren’t lowered. Ultimately though, the decision to stick or cave lies only in the hands of the writer themselves. If work is abundant, compromise might not be needed. It may come as a surprise, but Amazon is also willing to pay imaginative writers for fan fiction stories based on popular television shows. Head to Amazon Kindle Worlds (https://kindleworlds.amazon.com/) to find out why and how it is helping to produce canon, licensed fiction. US dramas as the most sought after, with stories on The Vampire Diaries and Pretty Little Liars being quickly snapped up. The rules are straightforward. Each story must be 10,000 words or more. It must be based on a popular or recognizable television world. If published, Amazon pays writers a rather impressive 35% of all future sales. This makes it a very viable option for talented creators who want to make money fast. 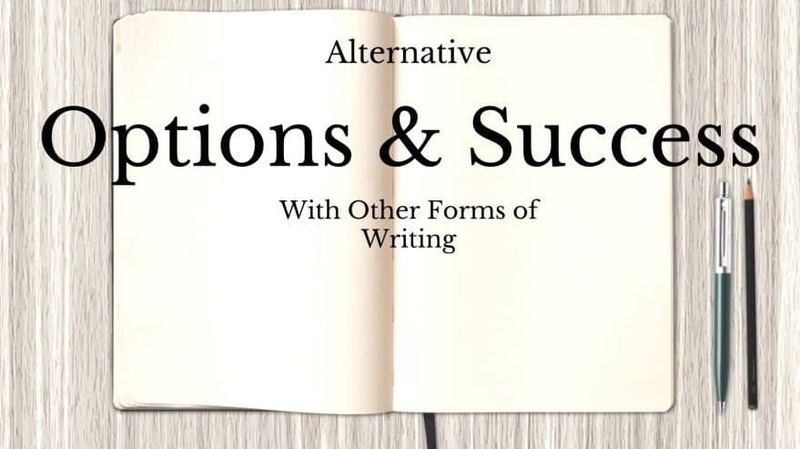 There are no restrictions on who can apply and brand new authors are welcome too. Is there a more fun way to earn a part time salary than dreaming up imaginary worlds in your spare time? 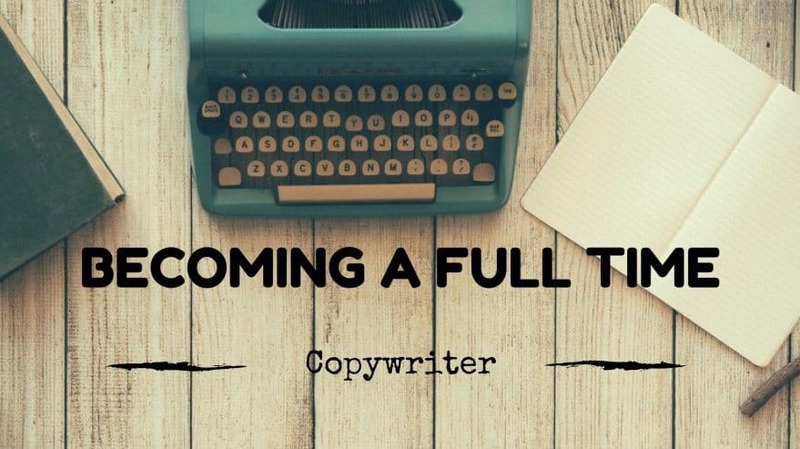 If the prospect of becoming a full time copywriter, as a way to make money online, doesn’t appeal to you, there are other options available. As not all people are naturally creative, it makes sense to think that writing isn’t the right pursuit in all cases. The good news is that it can be swapped for a similarly intensive, but less academic, approach. The next section will take a closer look at how you can utilize copywriting to become a successful blogger as well. 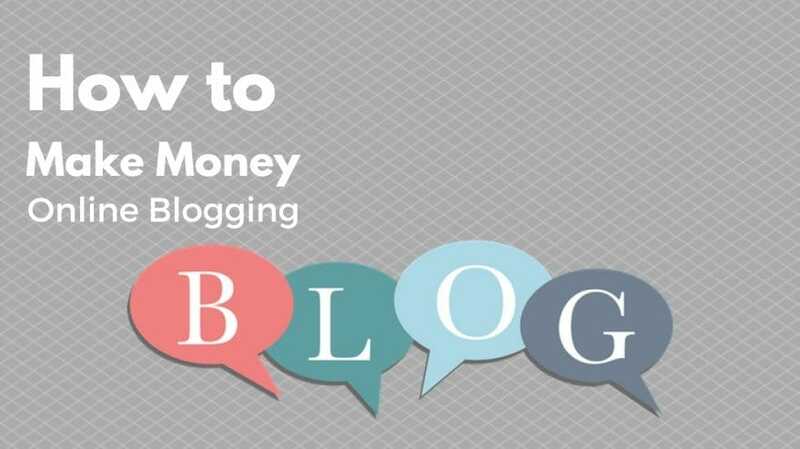 It is possible to earn money by setting up a personal blog. It is unlikely to turn into a full or even part time salary, but it is a nice way to add to an existing wage. The content should be passionate, engaging, and based around an accessible topic. This can be a niche subject, but if the focus is on something narrow, there is a more pressing need to find a suitable audience. Imagine, for instance, the difference between a blog about Hollywood movies and a blog about German architecture. The former is likely to find an audience without too much trouble, because the vast majority of people are interested in films. On the other hand, the former may only attract a small readership, but if it is made up of the right people, they’ll probably be more dedicated and attentive. 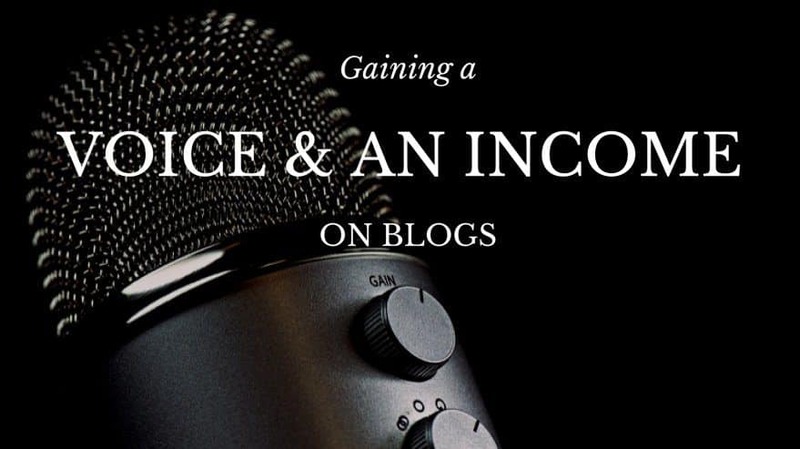 The quickest and easiest way to monetize a blog – particularly for those with little experience – is to allocate some space for relevant advertisements. This kind of arrangement usually involves an agreed fee for on a CPI or CPM basis. A CPI also known as cost per interaction example is that every time that a visitor clicks on the advertisement and moves through to the parent website, the blog owner gets a small payment. A CPM payment basis is based off every thousand impressions and is known as cost per mile. 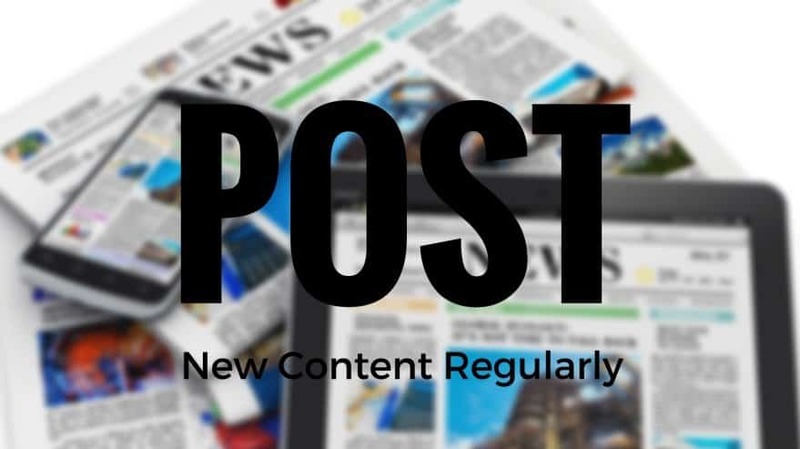 Cross posting and sharing is another great way to increase exposure; find another blogger with a similar focus and offer to promote their posts if they will do the same. 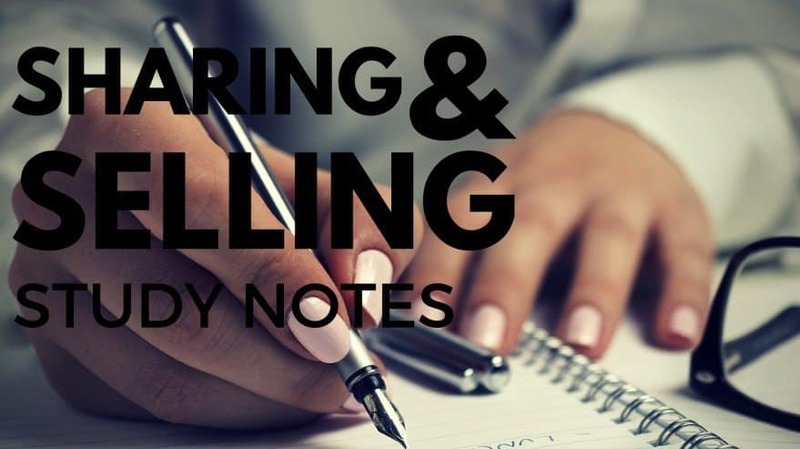 Speaking of guest posting and cross sharing; it represents another way for aspiring writers to get their name out there and, potentially, start earning cash. Most have a handful of blogs that they read and follow on a regular basis. In some cases, it can be useful to get in touch with the creators of these blogs and inquire about the possibility of contributing. The best option is to offer unpaid content first – write out of passion and a love for the subject – because there is always a chance that it will lead to financially viable work later down the line. 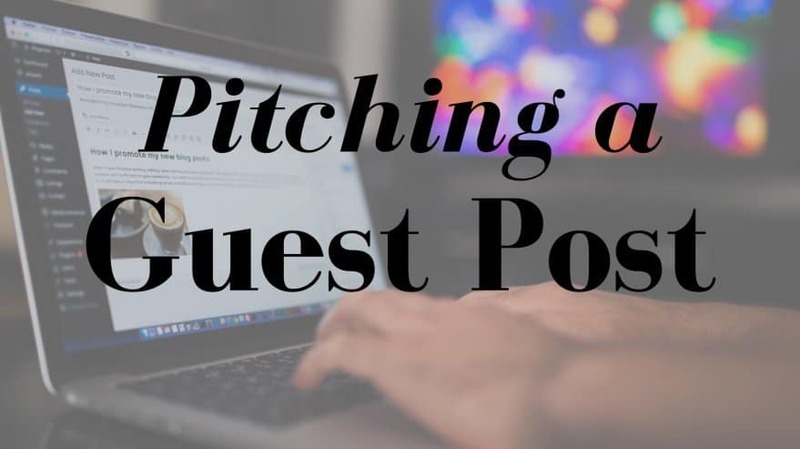 Guest posting is a more likely opportunity if there is a counter blog that showcases the interests and personality of the writer. Get to know the topic and establish a personal platform first. Carry out in depth research and really indulge in its nuances and strengths. To charm the experts, a certain level of expertise is required. Create content that is of a high standard, so that other bloggers will want to maximize its potential for themselves. Just make sure that a full credit is given (preferably alongside a link) whenever guest posts are shared. When it comes to earning money as an online blogger, there are a lot of important misconceptions to recognize and overcome. The most dangerous is the idea that blogging is easy. While it is certainly possible to create and maintain a full time blogging career, it is the exception to the rule. Of all the hundreds of thousands of writers, only a small amount will become household names. One of them is Gwyneth Paltrow; a woman who can probably afford to take a risk or two with her finances. The point is that this isn’t a medium that should be used as a fast track to quick cash. In fact, blogging tends to be most successful – and more likely to turn over a decent profit – when bloggers are in it for the love of writing. Authentic blogging is all about passion. It best suits those with an interest in specialist subjects. It complements those with a confident character and lots of engaging opinions. 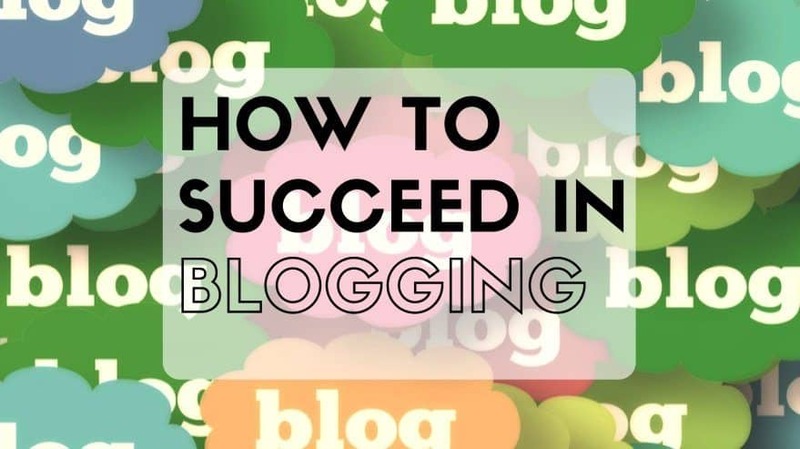 However, aspiring bloggers must be willing to start small, grow slowly, and put a lot of time into nurturing, improving, and expanding the reaches of your online presence. According to a recent survey, only 32% of US bloggers earn more than $5,000 per year. Of this, only a mere 11% make enough money to quit their primary jobs and live on the proceeds from their writing. So, it is clear to see that blogging is not a career. On the other hand, an extra $5,000 in the household budget, every year, is nothing to scoff at. It is especially satisfying if it is earned in the pursuit of a true passion; something that a keen blogger would be happy to do for free anyway. The primary difference between a hobby blogger and a pro (even though they’re not mutually exclusive) is monetization. There are all kinds of ways to make a website or basic CMS platform financially viable. The most common is to allow companies to place advertisements around the content. Every time that a promotional image or link is clicked, the owner of the blog gets a small fee. The downside to this method is that it can, if used in the wrong way, end up devaluing the content and turning readers off. Sponsored content tends to be a better alternative, because it leads to the creation of more valuable content, rather than just piggybacking on the existing blogs. Sponsored content is also a great way to strengthen ties with both audiences and influential affiliates. A good example of this would be if a beauty blog posted a positive review of a specific shampoo, in exchange for a plug on the parent brand blog or website. These connections and relationships take a lot of work to maintain, so they require a real dedication to the blogging process. Interestingly, direct sponsorship is not the only way to earn money from blogging. Clever writers, with a relevant skill or service, can use the platform as a way to promote themselves. This is something that lots of people do and it is particularly common among public speakers, authors, consultants, and freelancers. While it doesn’t strictly count as earning a living from blogging, it offers a quick and sustainable way to a healthy second salary. The only downside is the amount of upkeep; if a blog is to be a big hit, it needs to be updated several times a week, at a minimum. While every blogger is unique, there are some universal pieces of advice that apply to most. The first is to pick a solid foundation. This is a topic that inspires passion and enthusiasm. It should be something that it not just enjoyable to write about, but motivating and inspiring. It doesn’t necessarily have to be easy, because good bloggers don’t simply recycle what they already know. However, the subject must be comprehensive enough to carry a whole blog. Choosing a blogging subject can be tricky, because the aim should be to find a good balance between niche content and wider relevance. For instance, a blog dedicated to WWII era fighter planes is definitely going to be interesting to some, but unless a suitable audience is found, it won’t ever be successful. Ultimately, this means that aspiring writers have a choice. They can either pick a broader subject, so that their content is more likely to be popular. Or, they can stick with a niche and make it their goal to find that perfect readership. When the latter option works, it does so spectacularly. Niche blogs can make a lot of money, because their audiences are smaller, but more committed. These are the people who check back for new content every day. They post comments, offer their opinions, and engage directly with the writing. They share news of the blog with friends, family members, colleagues, and other interested parties. And, in some cases, they are even willing to pay to access it. The bad news is that it is not always easy to find this kind of audience. The death of a blog is stale content. It needs to be kept fresh and exciting or people will stop reading. The most successful blogs post every single day, because they know that followers will check back for updates at school, university, work, or while waiting in line at the supermarket. It is okay not to write every single day of the week, but audiences should be able to expect a regular post, on a recognizable schedule. If possible, try to post at the same time every day. If the blog is really appealing to people, there will be a spike in traffic at this time. On the other hand, it is important not to post low quality content in order to fill space. Writing should be relevant, engaging, and easily linked to current news and affairs. If it has no specific connection to the present, it must be what is known as ‘evergreen’ content. This is writing on a topic or subject that does not degrade over time. For instance, movie themed post on classics like Casablanca or Gone with the Wind is hardly contemporary, but it would still appeal to a lot of people; what’s more, it would appeal in the same way five years after publication as it would five years. The secret to a successful blog – particularly one that can make money – is sharing. The goal should be to get as many people passing around links to the posts as possible. They should be writing about them on their Facebook pages, tweeting about them to friends, and reposting them on their own blogs, if they have them. 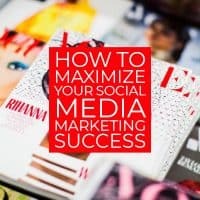 Social media is a big part of this, because platforms like Twitter, Facebook, and Pinterest have the power to reach thousands of readers in a matter of just minutes. If a post captures the public mood, it can quickly go viral and this is when profits start to rise. The more visitors that a site receives, the more advertisers will be willing to pay to position their ads around the content. 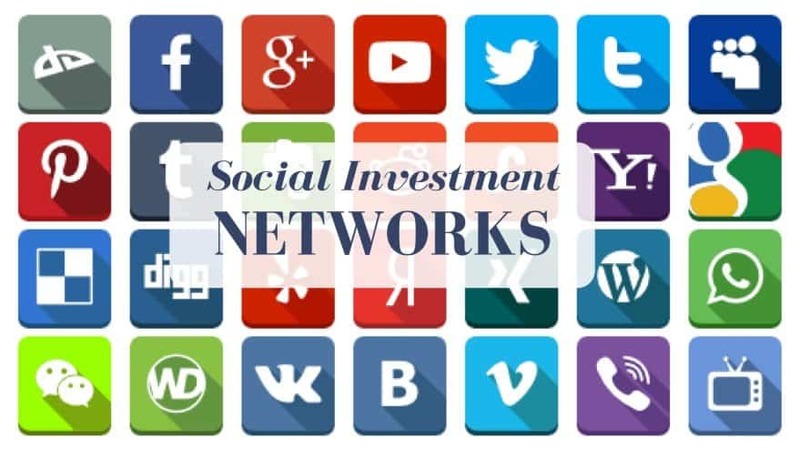 The level of interest from sponsors and affiliates is likely to grow as more people subscribe to get the posts delivered direct to their inbox. Fortunately, many of the most popular blogging and CMS platforms come with the option to add social media ‘buttons’ on the end of posts. This makes it much easier for readers to share the content. When amateur bloggers are first starting out, they usually stick with stock images. There are a number of different reasons for this. For one thing, it is quick and easy. Once a post is finished, it takes minutes to search the internet for a suitable, relevant image of a reasonable quality. It also evades any issues relating to copyright infringement. It is important to take care when acquiring any kind of content from the internet, because not everything is free to use. This is acceptable for a young blog. However, to really stand out, a developing, emerging blog should transition between this simple method of display and taking original, high quality images. Over the last few years, visual social platforms like Vine, Instagram, and Pinterest have started driving traffic to blogs. Consequently, contemporary bloggers need to learn and develop robust photography, image editing, and social media skills. There are plenty of great websites online that teach these skills, so even the uninitiated can become true pros in time. Sometimes, blogging can feel like an isolated pursuit. Yet, there is strength in numbers here. Getting to know fellow writers and posters is one of the best ways to spread the word and make sure that as many people are reading as possible. 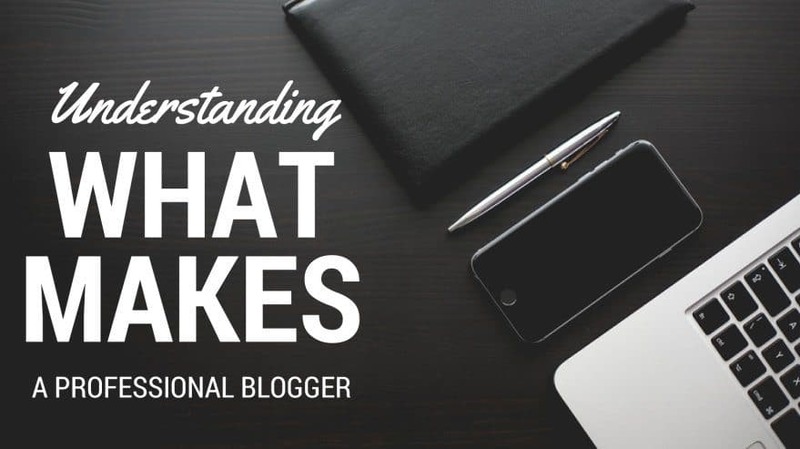 The best approach is to start communicating with other bloggers who are writing about the same kind of subjects. This guarantees that there is a relevant link and increases the chance that these other bloggers will want to cross share content and cross publish. It is a financially beneficial situation for all involved. It represents an opportunity to reach a whole new audience, in some cases. For example, imagine if a blog on fifties era fashion shared a post from another blogger, about classic fifties movies. Both platforms have the opportunity to gain new readers and, potentially, infiltrate an additional market. This kind of relationship can be extremely influential if it is nurtured and handled with passion and care. To be truly successful, a blog must place itself at the center of a valuable network of supporters. Now Blogging is, of course, not the only way to make money online. While it represents a more lucrative opportunity than things like pay for time websites and second hand trading, it also requires significantly more focus and work. This is an important thing to remember for anybody who is considering a move into this medium. 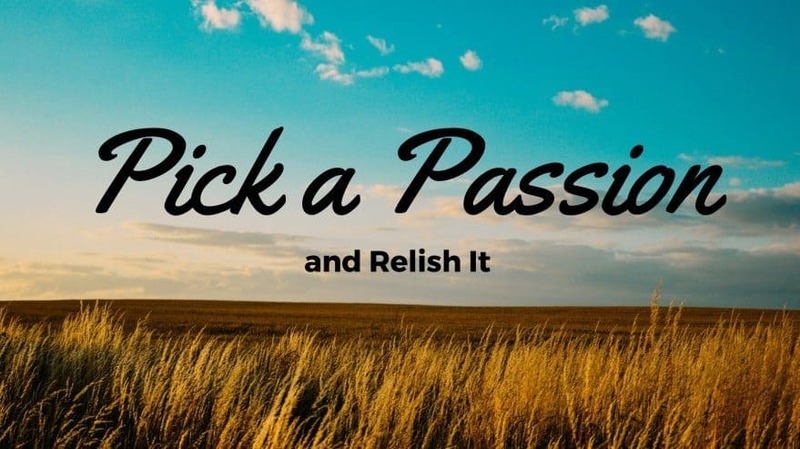 It is one that rewards passion and commitment, rather than a targeted drive for making money. So, the advice is to make blogging a hobby first and a source of income second. If this is a route that does not suit, consider one of the many other options available. For instance, the popularity of online assistants is currently on the rise, with more young people than ever choosing to take on the role. The term ‘virtual assistant’ or ‘online receptionist’ refers to a part time worker who helps busy professionals take calls, schedule meetings, make travel arrangements, and more. This is a job that can be done over the internet, via a dedicated piece of software.The work is simple and not too extensive, but the pay is appealing. For film and television buffs, a platform like RewardTV (http://www.rewardtv.com/) can be a valuable resource. It rewards users for watching their favorite shows and then answering simple trivia questions about them afterwards. It is a fun and light-hearted way to make a small amount of extra cash. Members can make around $15-20 per month, in exchange for not much personal effort or investment at all. It is just another example of the myriad ways to earn cash online. Ultimately, there is a financially viable hobby or activity out there to suit everybody. For multilingual moneymakers, there are lots of translation companies that pay handsomely for accurate work, with perfect spelling and grammar. This type of employment moves in both directions; some people prefer to translate other languages into English, while others favor the other way around. 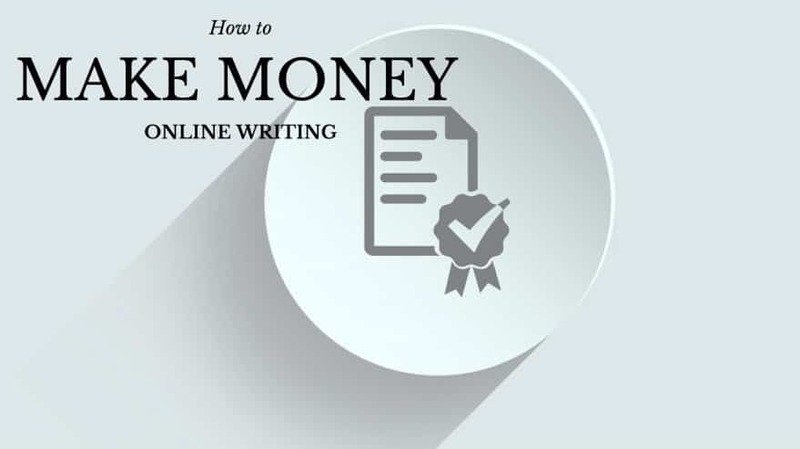 Transcription services like TranscribeMe (http://transcribeme.com/) are similarly popular and just one of the routes that will be discussed in the final sections of this paper on how to make money online. The amazing thing about the internet is that it is, essentially, infinite. There is simply no end to the variety and amount of opportunities out there. The only thing needed to access them is the right knowledge and know how. Very often, people stumble upon moneymaking ventures that they never knew existed. For instance, things like virtual receptionist duties or iPhone ‘check work.’ These are jobs that are just as well established (and reliable) as the more popular avenues like copywriting and second hand selling, but they don’t receive the same exposure. This means that it can be tricky to find them unless the person looking knows exactly what to search for. The following section will discuss some of these moneymaking opportunities and touch upon the reasons why they are not as common as more traditional forms of online work. It will also think about whether or not this is a positive thing, under the circumstances. After all, if they offer a great chance to earn cash, it might be better for workers if their numbers are limited; there will inevitably be more work to go around. The bottom line is that a person can make money doing almost anything online. However, rates and fees vary wildly and the highest incomes go to jobs that actively produce valuable content. This is why copywriting is such a lucrative industry; companies are willing to pay freelance workers high rates, in exchange for high quality copy that will increase their own profits. Therefore, one of the easiest ways to determine if an online job will be highly paid is to think about what it produces and how much worth it has for the recipient. 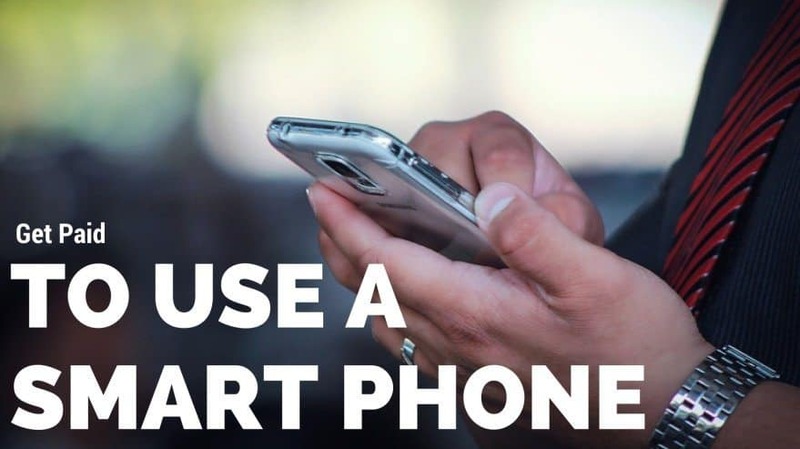 As almost everybody owns and uses a smart phone, these days, this first opportunity is essentially available to everyone. It doesn’t pay very well, for the reasons already outlined (the individual product is small), but with a little patient and persistence, it can lead to a pleasing sum of cash. ‘Check work,’ as it is often known, refers to the rapid fire delivery of information. It can encompass a huge variety of different tasks. A good example is taking pictures of road closures within a local area, as a way to inform motorists about the change. Another example would be taking pictures of restaurant menus and sending them in to a review or listings website. While it might sound like a trivial and curious thing to be paid for, when you think about the amount of money and time that it would take to employ somebody to do it fulltime, it starts to make sense. The downside is that this kind of work only brings in a few dollars per task. On the other hand, if lots of tasks are completed, the balance rises quickly. Some of the most popular check work platforms include Juno Wallet, Gigwalk (http://www.gigwalk.com/) CheckPoints, and WeReward. The work is extremely simple – some tasks are nothing more than taking a picture of a coffee in Starbucks – but it is designed to be carried out almost subconsciously. The jobs rarely take more than a minute or two (usually significantly less) to complete. Then, payments are accumulated, banked, and deposited according to a weekly or monthly schedule. It is also possible to get paid to do something that comes naturally, something that most of us don’t ever think twice about. Across Asia, there is a distinct and growing demand for English language resources. Every year, thousands of US and British students relocate to China, Thailand, and India to teach English as a second language. However, a version of this job can be pursued entirely online. Websites like Italki.com give users the chance to mentor and tutor in a virtual classroom. There are no rigid restrictions on who can teach, but the quality of the content and lessons are subject to review; much like they would be if the work were copywriting. So, the more lessons that are taught, the more positive reviews are gathered, and the more interest is generated. As teachers are allowed to set their own rates, this can be a very fast and easy way to make extra cash. It is important to remember that the quality and content must remain high. If it dips, the consequence is less work and poor reviews from students. On Italki, the average rate is around $15-20 per hour of teaching. This is no small fee, particularly for those who are interested in becoming teachers in the future. Not only does it offer them a chance to try out the profession, it barely feels like work at all, because the passion and the drive is there. 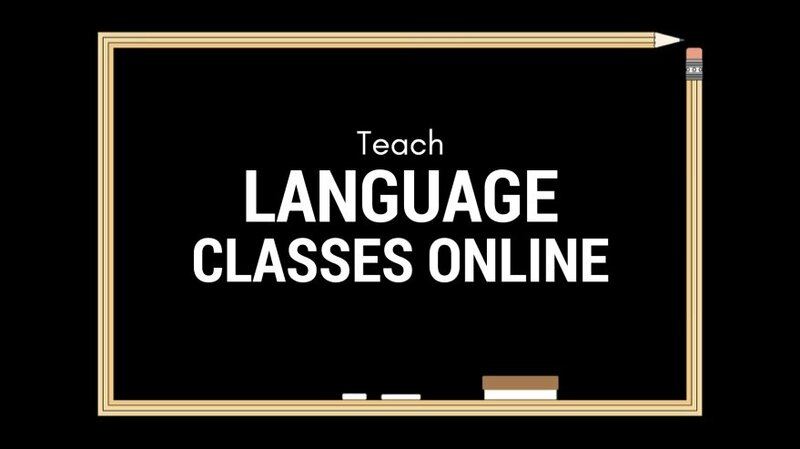 With dedication, care, and focus, online language teaching can become an enjoyable method of making money online. Alternatively, there is online or ‘virtual’ receptionist work. This can be a time consuming job, but there are varying degrees of commitment available. In fact, some people manage to make this a fulltime professional, so the opportunity for an at home career is there. Essentially, remote receptionists do everything that regular receptionists do, with the difference being that the work is carried out over the phone and online. If answering calls is part of the service (and it usually is), the third party provider supplies the software needed to make connections. With the use of this software, it becomes like the virtual receptionist is actually in the office taking calls. They can accept incoming messages, schedule meetings, call clients back, and answer all incoming calls. They are expected to take their instructions from the client themselves. Generally, the orders are pretty easy and no more complex than can be expected of a standard secretary or receptionist. Some providers offer the added benefit of twenty four hour reception duties. If a person is willing to work late at night or early in the morning, they stand to make an impressive amount of cash. Plus, the requirements are fairly low as well. There is no need (in most cases) for previous experience, but there may be brief tests or a probationary period. For the most part, this is semi-permanent work. Individuals are expected to serve allocated clients until their services are no longer needed, rather than jumping between many different jobs. With that being said, there are no rules dictating how many clients can be served, as long as the hours and duties don’t conflict with one another. For those who are nursing an artistic streak, there is the option to design and sell custom t-shirts. Websites like CafePress (https://cafepress.com) and teespring (http://teespring.com) are really great for this. While users don’t receive the full sum, when their t-shirts are bought by customers, the average amount of commission is around $7-10 per sale. Amazon has also expanded into this market with their Merch by Amazon program (merch.amazon.com). There is a waiting list, but it is worth getting on. As the platform takes care of the actual manufacturing – all it needs is a viable design – there are no costs involved for the user. Plus, all of the promotion and advertising is taken care of too. Even better is the fact that, sometimes, t-shirt designs on these platforms go on to catch the eye of much bigger companies. Then, there is the chance for an independent deal or partnership, because users are independent workers; they don’t hand over the rights to their designs when they upload them to CafePress. This is something that can’t be dependent upon, obviously, but high quality designs will always be sought after. For this reason, skilled artists and illustrators can make a good living from this type of work. One of the best things about it, particularly for those who have a keen interest in fashion and clothing lines, is that it offers an insight into how the process works. After a few years, a user may feel like they have enough knowledge and talent to take their designs independent and open up their own online store. 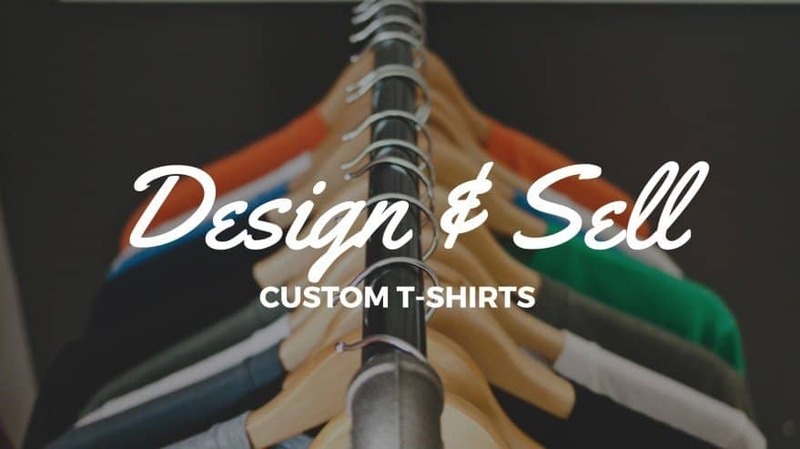 Therefore, something that seems as simple as designing and selling basic custom t-shirts can actually turn into a fully-fledged career. What’s more, it isn’t only t-shirts that suit custom prints and drawings; mugs, mouse mats, pencil cases, and a hundred other things can be personalized and sold. 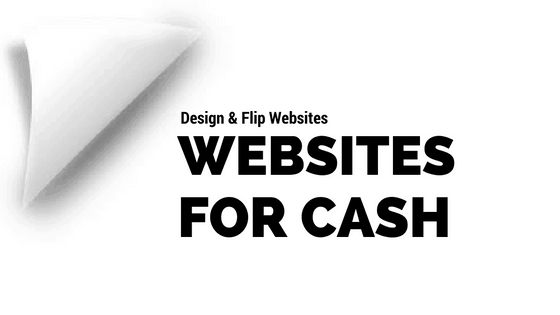 If a person has sophisticated skills in website development, they have the opportunity to create platforms from scratch and then ‘flip’ them for a profit. This idea is based on the property market and developers who buy houses, primarily to upgrade them and sell them on. With this line of work, the pay is substantial. This is because the content itself must be of a very high quality or nobody will pay for the website. It attracts some huge clients, with very large budgets, as website construction is a time consuming and fussy job. It suits larger companies to be able to pay for fully formed platforms that they can immediately fill with their own content. At the top level, flipped websites can sell for as much as five figures, but developers must be very advanced. The work suits university students and those who have already earned a high level qualification in programming or a related subject. With the support of online marketplaces like Flippa (https://flippa.com), it is easy to start picking and buying existing websites, if this is the preferred route. However, most developers tend to build the platforms from scratch, so that they can sell them at full profit. When established websites are bought, it is usually with the intention of holding on to them until their value appreciates. Then, the user will ‘flip’ the platform and make a sizeable sum. 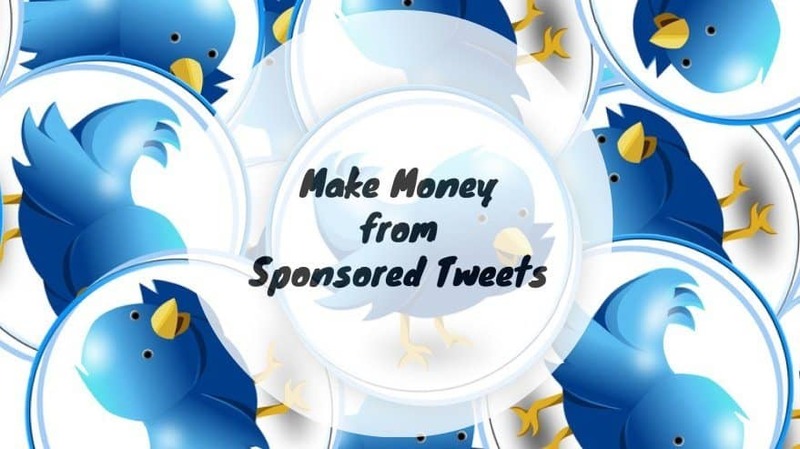 Platforms like SponsoredTweets.com give users the chance to earn money on the tweets that they create. The idea is very simple; members are paid to advertise products. However, they have a certain degree of control over the process. The user decides what kind of products they are willing to promote, how much will be charged per tweet, and what keywords will be used. This criteria is posted, as a listing, on the aforementioned website, and interested sponsors can get in contact with the user if they like the sound of the arrangement. This is an important detail, because most users are tweeting to a following that includes friends and family members, so they do want to be able to decide what is promoted on their profiles. Throughout the entire process, the user retains full control over their Twitter account. They have the right to decide how tweets are arranged and worded. They can also stop tweeting for sponsors at any time. Generally, the pay is quite small (per tweet), but with enough posts, the balance rises quickly. 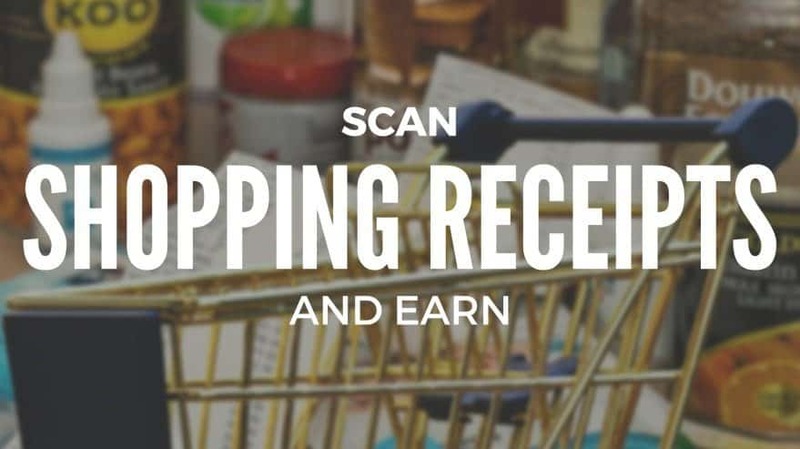 The website ReceiptHog (http://receipthog.com/) actually pays its members to scan and send in pictures of their shopping receipts. This is usually done by capturing the barcode with a smartphone. For every capture, this is a small fee. Ultimately, there is no more to it than that. The pay is modest (only around $15-20 per month) but it is cash that is earned from doing nothing at all. It doesn’t get better than that. This type of work is very popular with students and young people who are living on tight budgets and appreciate an extra income, even if it is small. There are a number of receipt scanning platforms on the internet, but some are invite only (ShopandScan). To access these websites, users must sign up and provide their details. Then, they will be added to a waiting list. Hopefully, it is not too long before they are selected and given full access to the site and its associated privileges. These websites tend to work with automated payment systems, so earnings are regular and reliable. They will be deposited either directly into a personal bank account or into a Paypal account; it depends on the company. The concept of making money online is still a relatively new one. Certainly, for older people, the idea that a person could earn a living without leaving home is questionable to say the least. There appears to be no degree of security to the internet. It is too fast paced, too wild and inconstant – how could a steady wage ever be found there? Younger generations have grown up with the ever changing nature of the internet at their fingertips and they have learned how to exploit its diversity, rather than allowing themselves to be hampered by it. This is not to say that older people can’t be very successful at earning money online; they just need to see its fluidity as an advantage and not a burden. Online, commitment is replaced by flexibility. While there may be no job security, the freedom to jump between positions and lines of work is a useful compromise. The most efficient online workers then are those that can accurately judge the need to pin down a niche or step backwards and take a broader approach. Copywriting remains one of the most lucrative and popular forms of online employment for this very reason. It rewards skill and knowledge in specific areas, but good writers can ‘learn’ on the job as well. They adapt and develop re-actively, rather than limiting themselves to one field or moneymaking route. For all these reasons, online earning best suits those with the confidence to trust the opportunities. Obviously, the pressures of a fluctuating income and a variable degree of availability are not quite so heavy if online work is not the primary income. If it is used as a way to supplement an existing wage, it can be both fun and exciting. Anybody who is interested in potentially carving out a career of some sort on the internet is advised to start out slow. Dedicate a few hours each week to the chosen medium and get familiar with the amount of work and time needed to build up a reasonable sum of cash. There are so many moneymaking opportunities that can help you make money online in your spare time. ‘Pay for time’ websites, for example, or check work are associated with very small fees. The emphasis is on quantity, not quality, and an impractical amount of time would have to be invested to earn a wage. On the other hand, mediums like website building, copywriting, second hand sales, and t-shirt design can lead to big bucks. 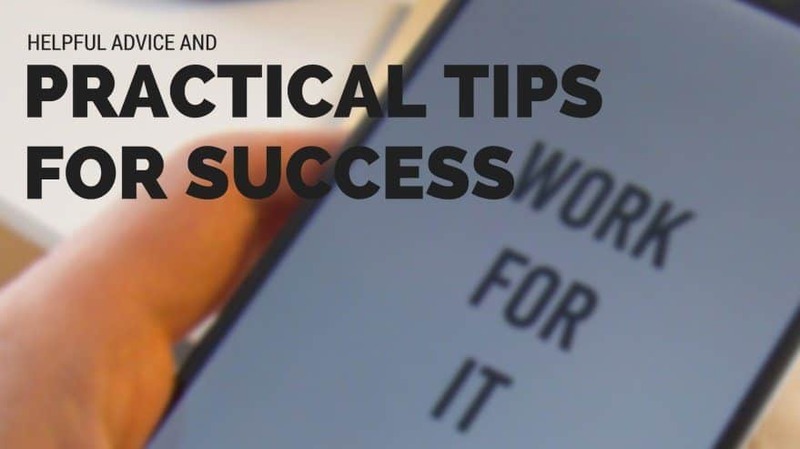 Either way, a clear plan of action is a valuable tool when it comes to setting up and maintaining a full or partial career online. ‘Pay for time’ websites refers to any kind of platform or provider that offers financial rewards, in exchange for unskilled tasks. Some of the most common examples include data entry (inputting figures in spreadsheets), completing marketing surveys, rating new music, and testing and reviewing apps and websites. This kind of work is abundant and can be found almost anywhere online. It is easy to identify and very simple to get involved with. The major downside to ‘pay for time’ platforms is the fact that their fees and rates are so small. The average fee, per task, can be as little as 75 cents. Ultimately, the rates depend on the nature of the work and the type of provider, so most are not this tiny. Some even rise to $10 or more for a single task. Nevertheless, the aim on these websites is to build up a large amount of completed work. The pay is low, the effort is minimal, so quantity should be the priority. These issues relating to low pay are not a concern for non-risk matched gamblers. 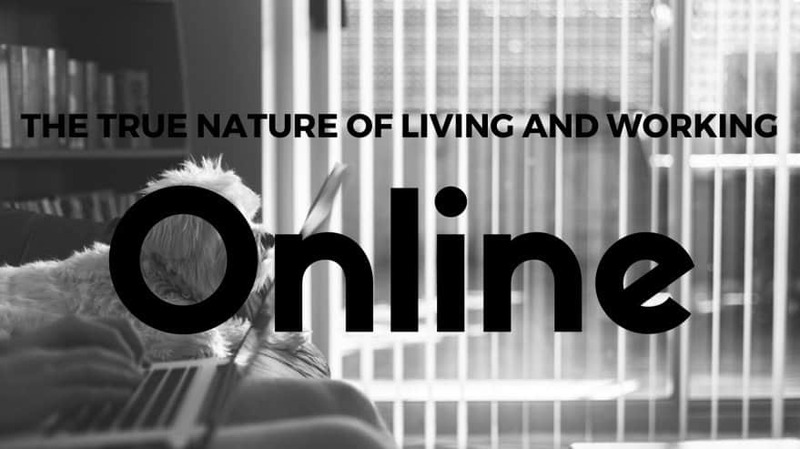 As a moneymaking process, it cannot technically be called an online job. There are no clients, no fixed fees, and no services or content to be provided. However, it is an effective way to make quick cash on a regular basis. The most important thing to understand about matched betting is that it represents a kind of grey area for the gambling industry. Legally, it is completely viable. There is no criminal element whatsoever to matching bets and earning guaranteed rewards. But, it does depend on the ability to exploit introductory rewards and free bets from major bookmakers and betting exchanges. For this reason, learning how to place non-risk matched bets should lead to an awareness of how to tactfully and securely grab sizeable winnings. It is all about making practical, sensible decisions and knowing how to exploit bonuses in ways that don’t aggravate the bookmakers. For this reason, there must be a willingness to use multiple email addresses and monitor a number of personal accounts. This can be time consuming, but the benefits are more than worthwhile if you play correctly. If it is just a reasonably steady wage that is desired, freelancing is probably the best option. It encompasses a huge variety of disciplines. Everything from coding to programming, app design, website construction, copywriting, t-shirt design, project management, teaching, and receptionist duties can be taken up via the internet, on a semi-permanent basis. 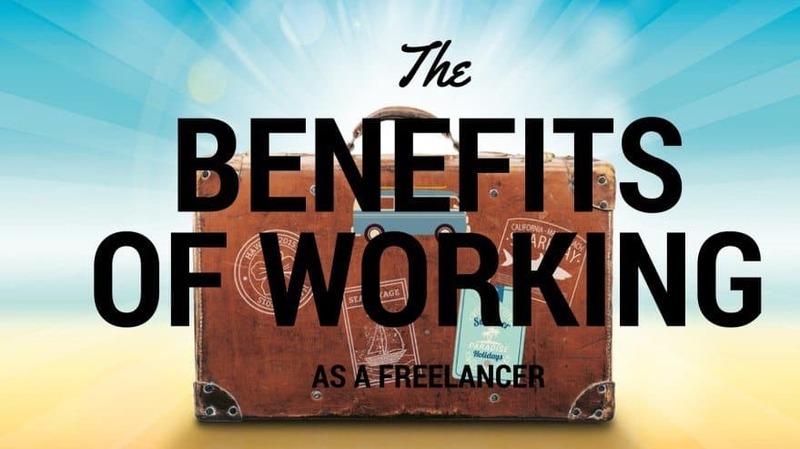 The biggest benefit of freelancing is that there is complete freedom of movement. Online workers can accept as many or as few tasks as they like and earn in a way that suits them best. For this reason, freelancing suits younger people, who are trying to fit work around their studies. It is a great option for parents, who want to make some extra cash, but can’t spare the time for work outside the home. It can even be a rewarding and lucrative route back into employment for people who are struggling to find work. The hours are flexible, the pay has the potential to be very pleasing, and the worker is always in full control. The most common form of freelancing is (and has been for some time) commercial copywriting. There are literally thousands of content platforms out there on the internet and they are filled with writing tasks of all shapes and sizes. For the inexperienced, they represent the fastest and easiest way to make a living in this manner. They source and match clients up with writers and have robust quality and payment systems that are designed to oversee every aspect of the exchange and transaction process. Perhaps the biggest advantage of becoming a freelance copywriter is the lack of restrictions. There is no limit on the amount of money that can be made; the only limits are created by the abilities of the individual writer. So, if a person is happy to write for eight hours every day, they are likely to make a lot of cash. If they only see copywriting as a side income, they’ll make less money but the opportunity to take on more tasks will always be there. The work is always abundant, particularly if multiple platforms are used to ensure job security. This, more than anything else, is the key to becoming a successful copywriter. Don’t put all of the eggs in one basket; spread time and effort over a number of platforms, so that there is no dip in salary if one of them shuts down or runs out of jobs. Blogging is another popular way to make money online, but it is a more difficult discipline to master than copywriting. The advantage is that can be entirely focused on topics and subjects of interest. It is an endeavor of passion and love, while copywriting is more focused on utility and earning a practical amount. On the other hand, the downside is that blogs have to be commercialized from the ground up.They don’t start out as valuable enterprises with the potential to immediately make money. This is why most successful bloggers work with sponsors and advertisers to financially ‘activate’ their content. In other words, they lease out the space around their content to interested advertisers. Alternatively, they can agree to promote the work of fellow bloggers or associated companies, in exchange for a similar degree of exposure. Cross posting and community sharing is a really satisfying aspect of working as a commercial blogger, because writing for pay can feel curiously isolating sometimes. It is fortifying to know that this level of support is there if needed. 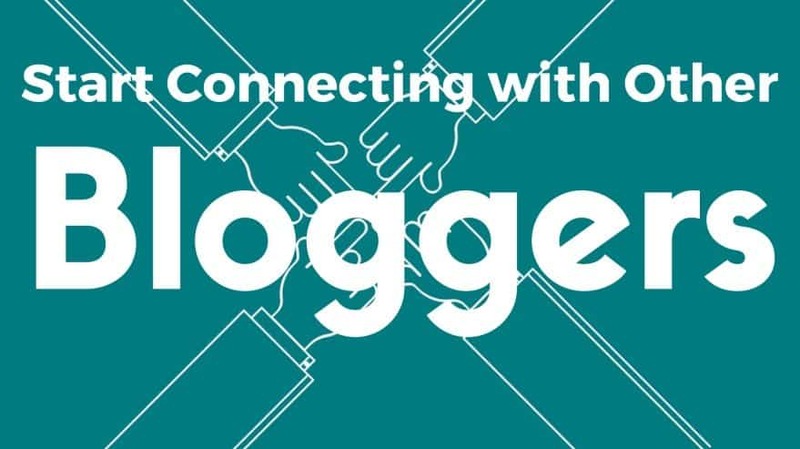 Of course, it must be constructed first; links and connections with fellow bloggers must be sought, built, and strengthened. 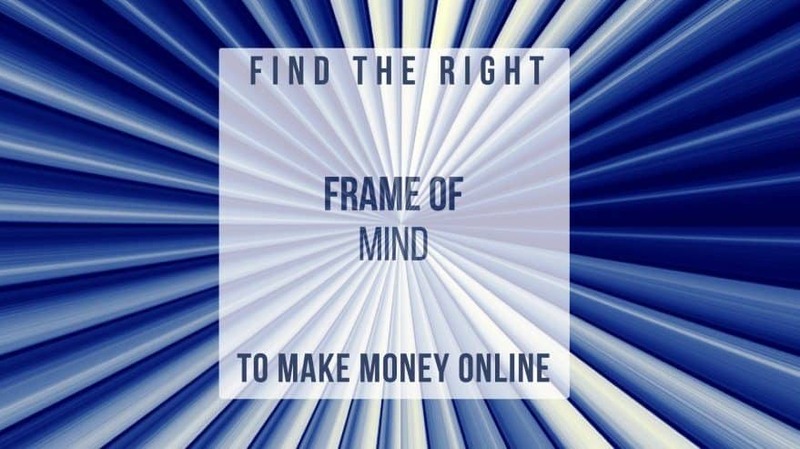 To come back to this idea of the internet being, technically, limitless, it is not unfair to say that virtually anything can be turned into a moneymaking opportunity online if you have the right skills. Freelancing, second hand selling, and clever gambling aren’t the only lucrative avenues. If skills lie elsewhere, anything from virtual receptionist work to flipping websites, establishing a custom t-shirt store, or becoming a language mentor may be pursued. In short, if a skill, service, or product can be clearly identified and marketed, it can be sold for a market price. This is the beauty of the online world and it is giving young people, in particular, a new perspective on how to earn a living. They no longer have to be tied to an office desk, from nine to five. They can harness the power of the internet and use it to become nomadic. These days, it is entirely possible to travel the world and earn while it is happening. It takes skill and dedication, but the route to a less restrictive lifestyle gets broader and simpler with every passing year. The first step is being bold enough to believe that it can work. In many ways, this belief is essential to earning a living online. The internet can feel like a cold and cynical place sometimes, but a certain amount of confidence is needed to be able to make it work from every angle, to be able to change and shift as it does and ride the waves of popular trends. In truth, it is both inaccurate and completely fair to say that online work comes with no real job security. On the one hand, it doesn’t guarantee a steady income or a fixed position for years or even months. However, it offers an opportunity to try many different things and develop multiple skills, across a diverse variety of worlds and environments. For those who are interested in pursuing a full or part time career online, some good advice is to prepare to get quickly focused. Whether it’s watching the total increase on an online content platform, talking to buyers on second hand marketplaces, responding to messages from clients, or calculating the odds for another big bet; it is surprisingly easy to get immersed in internet work. As skills develop and progress, finding the right balance between work and leisure becomes important, so don’t lose sight of the end goal. Create practical schedules, work to regular hours, and maintain the same kind of professionalism as would be necessary for any other kind of job.